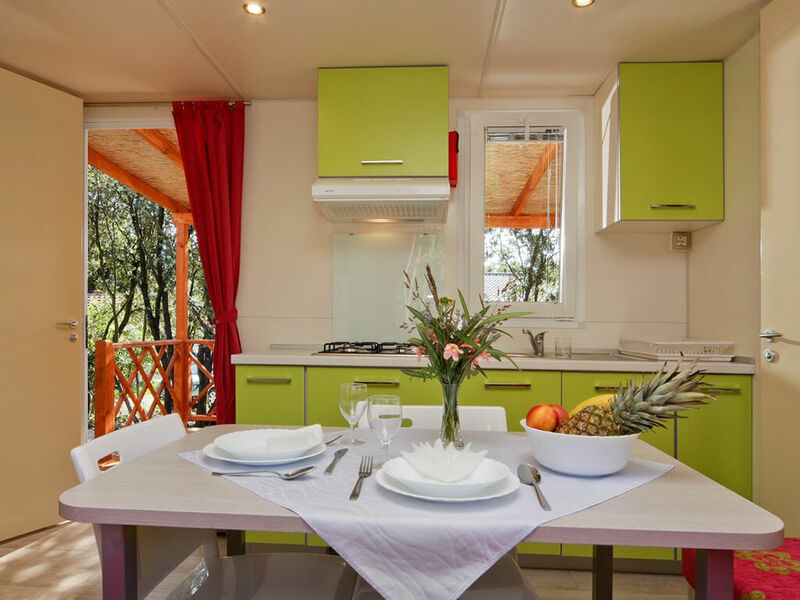 Apart from the basic gourmet offer, many campsites also offer their mobile home guests an additional service – a possibility of breakfast, but also of half board. 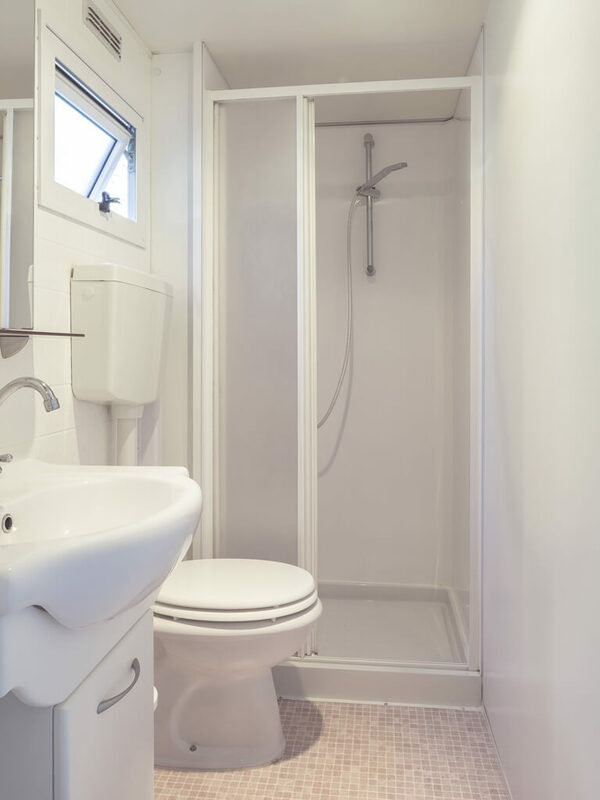 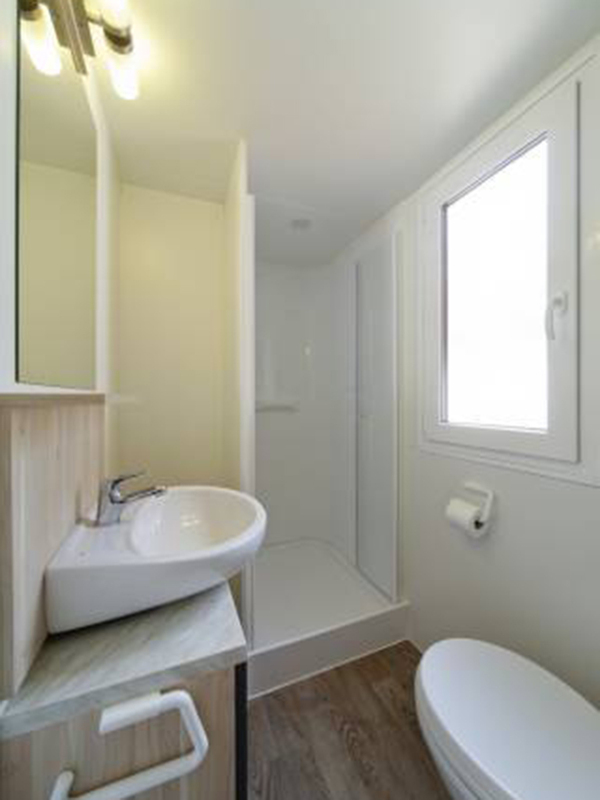 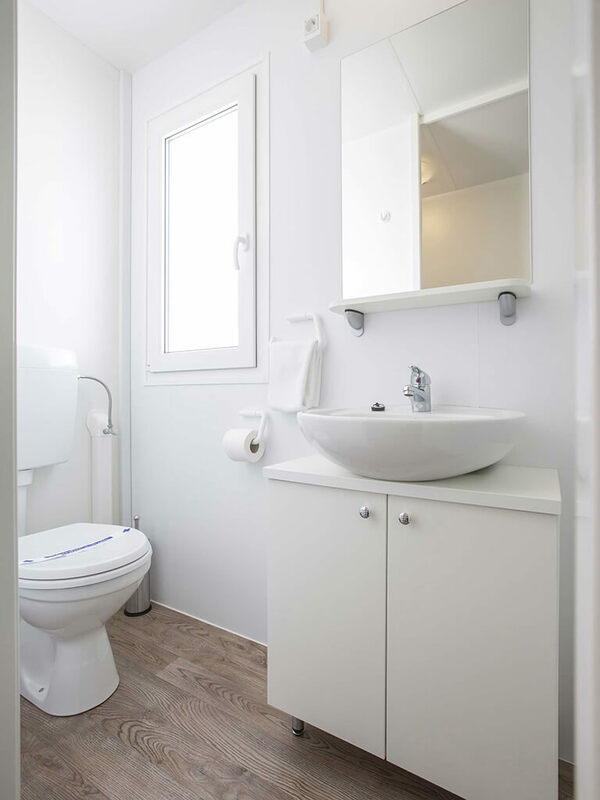 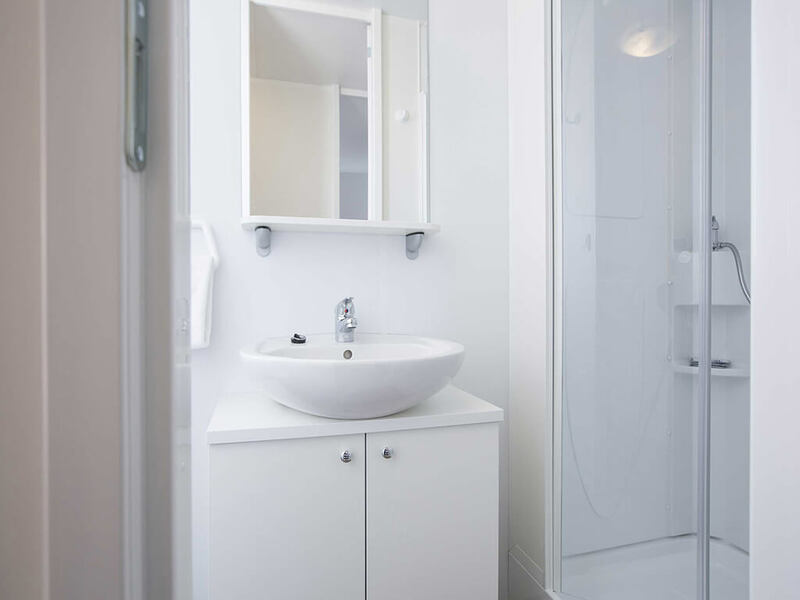 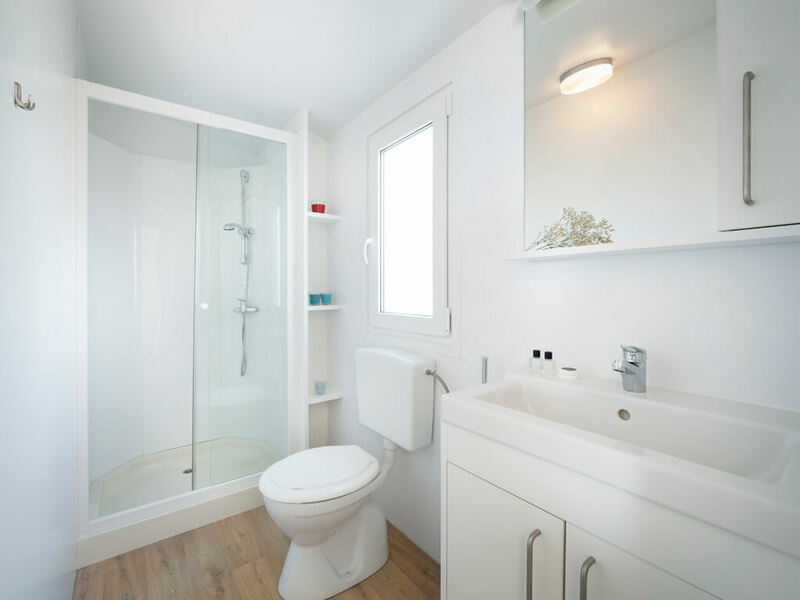 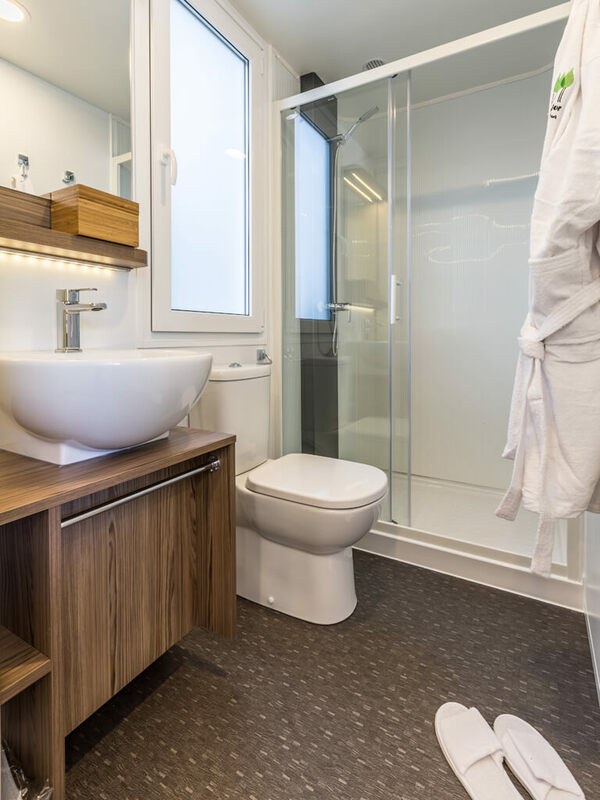 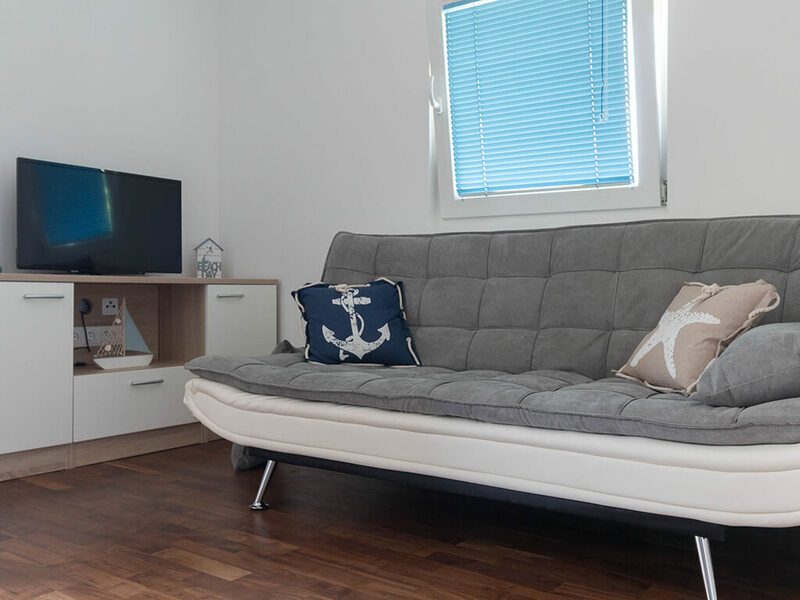 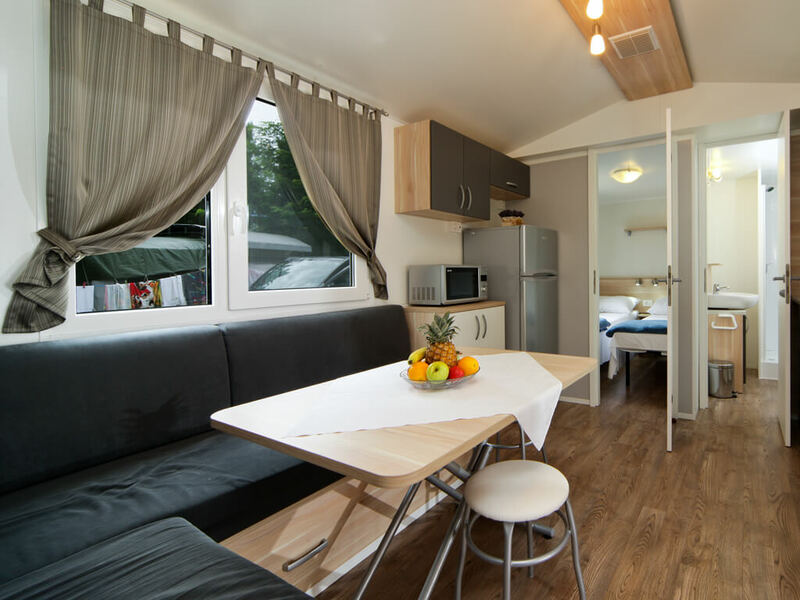 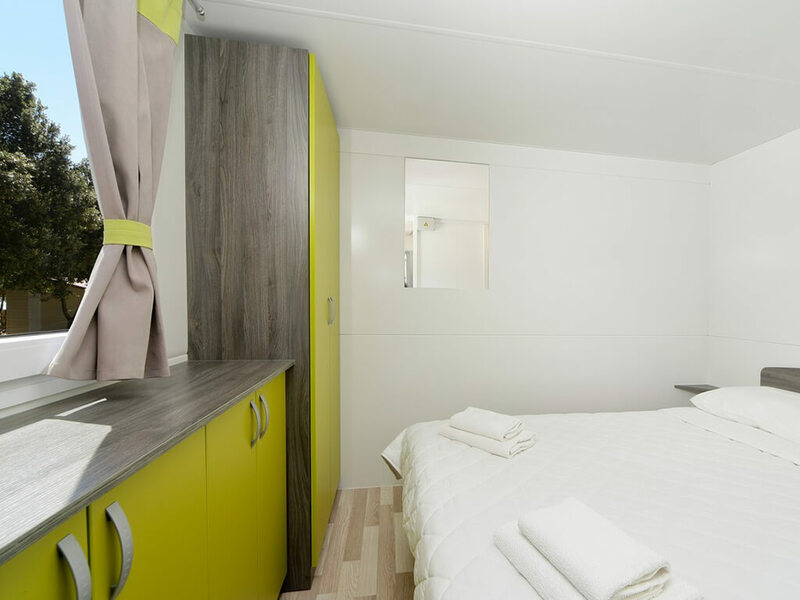 If you are looking for a mobile home which also offers a breakfast service – have a look at all mobile homes with breakfast or half board service. 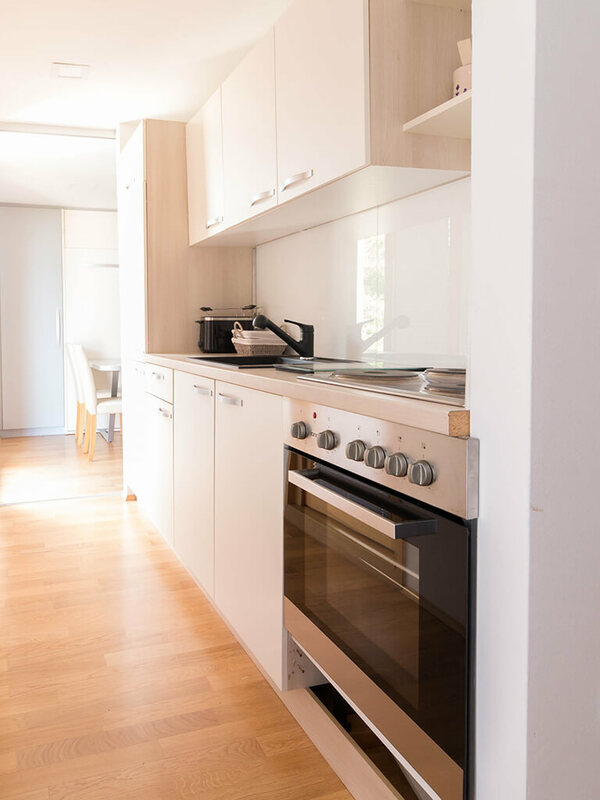 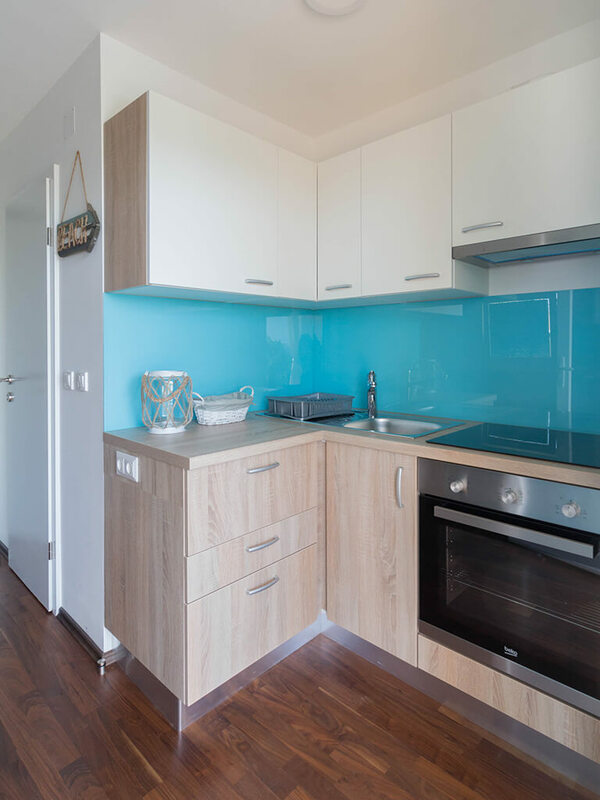 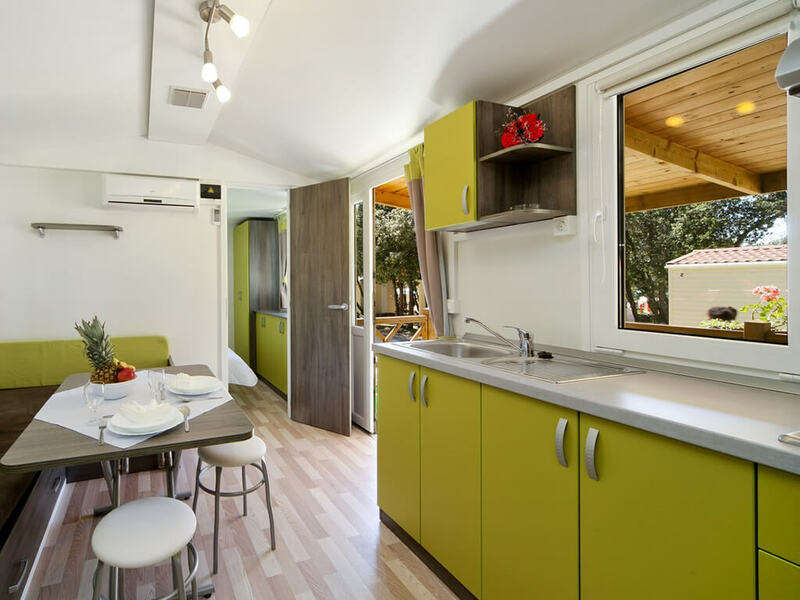 Although all mobile homes dispose with a kitchen, fully equipped for preparation of favourite dishes, you sometimes, wish to forget about that everyday chore. 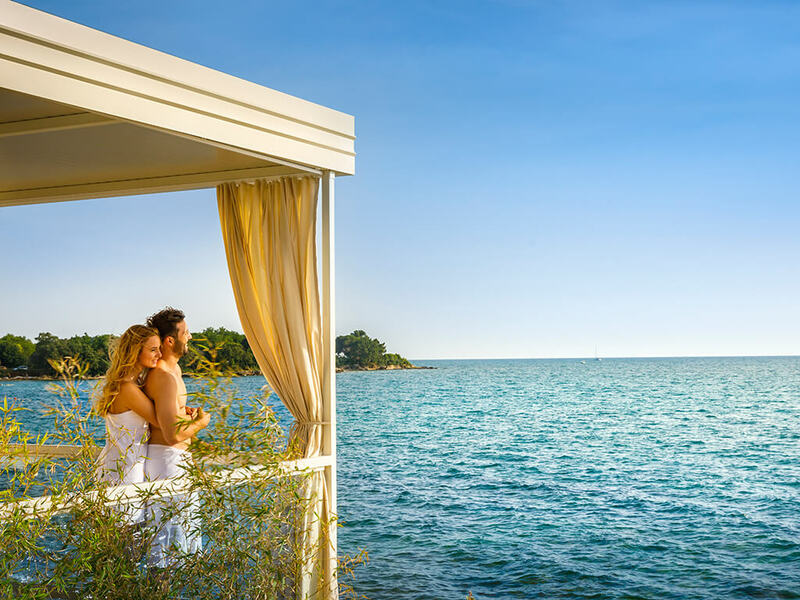 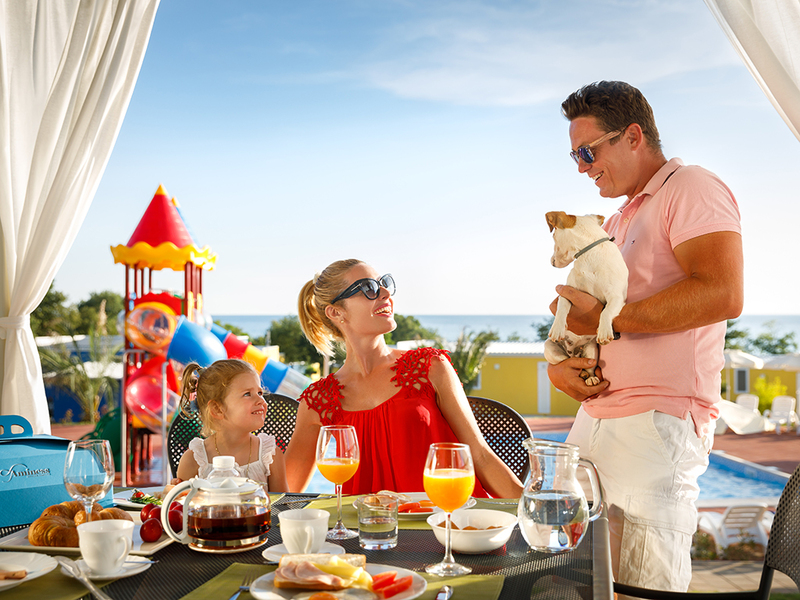 Forget cooking during your holiday and opt for breakfast, dinner or even lunch, prepared in one of the restaurants. 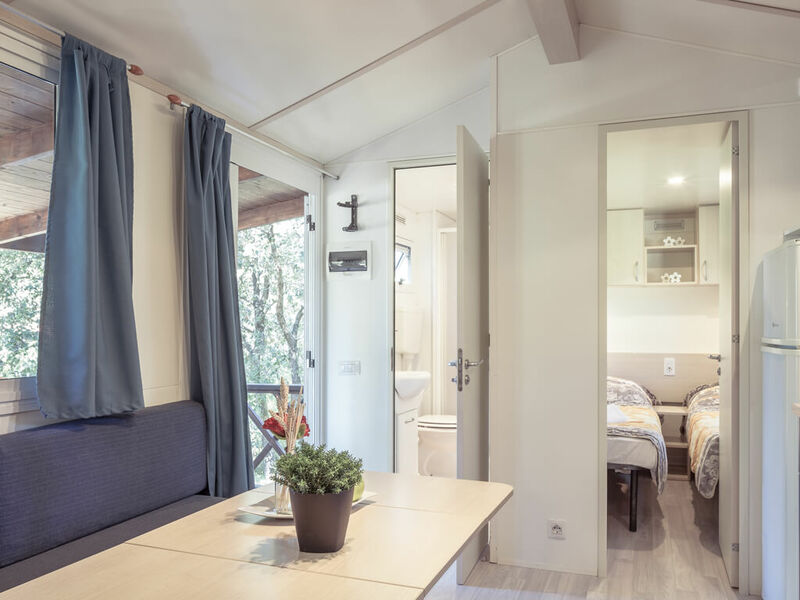 Boarding service differs from campsite to campsite. 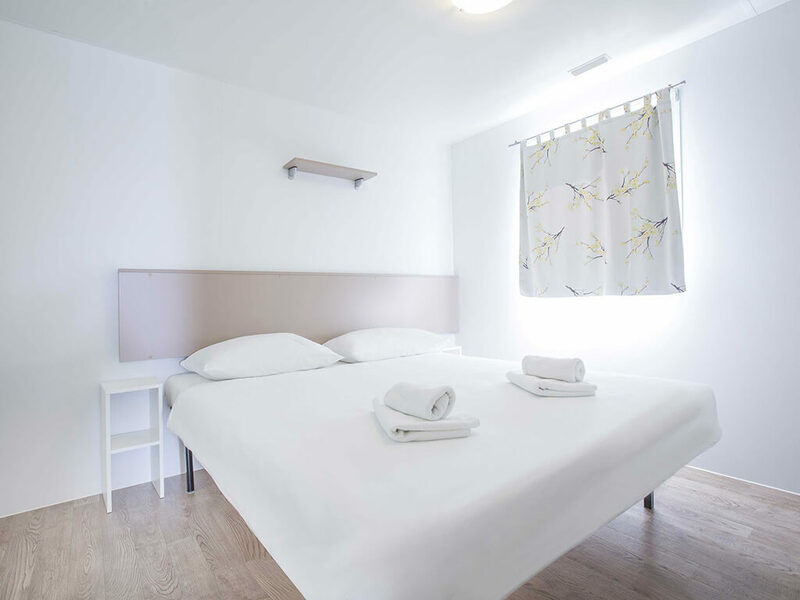 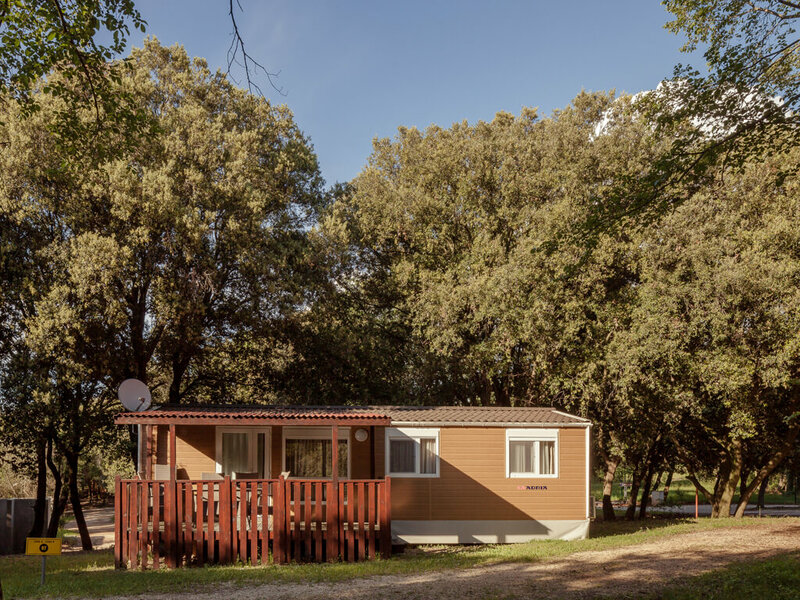 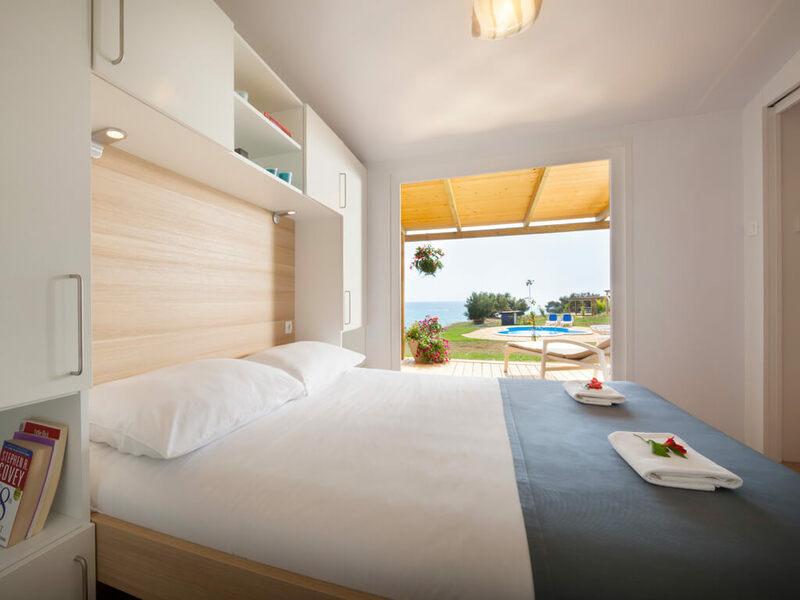 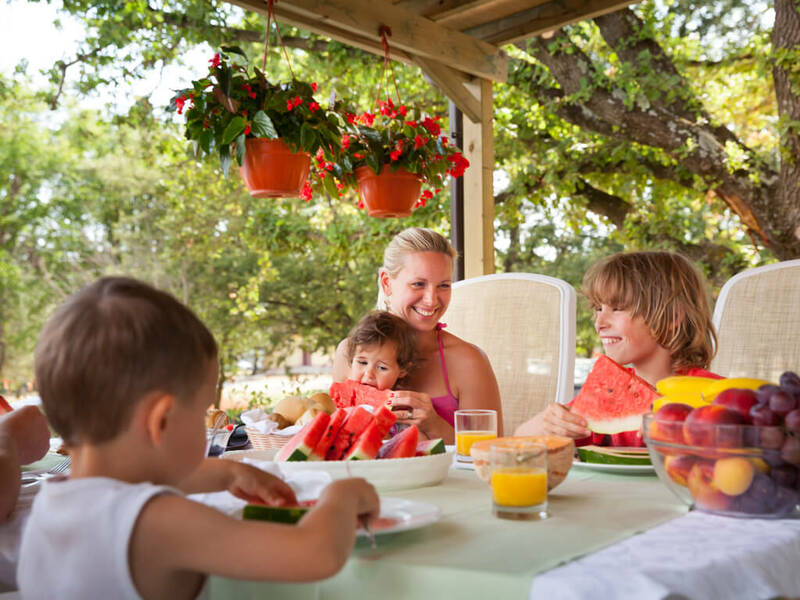 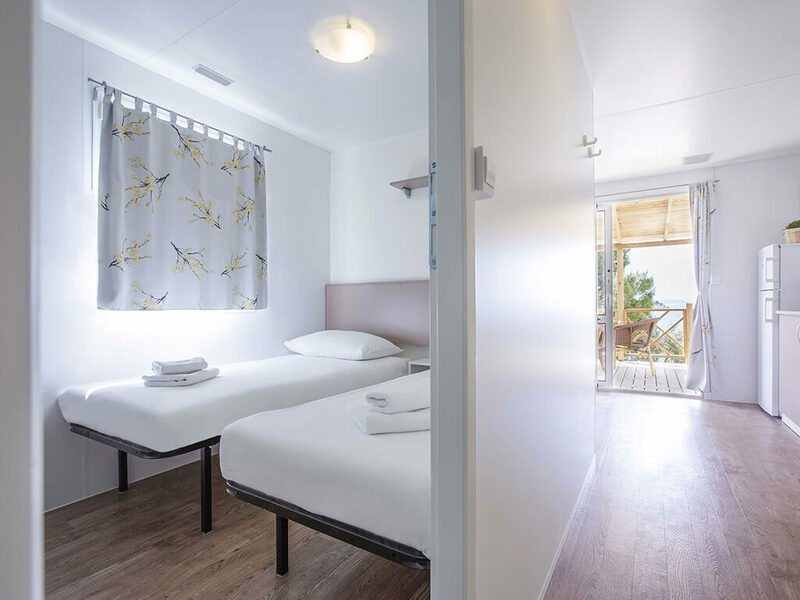 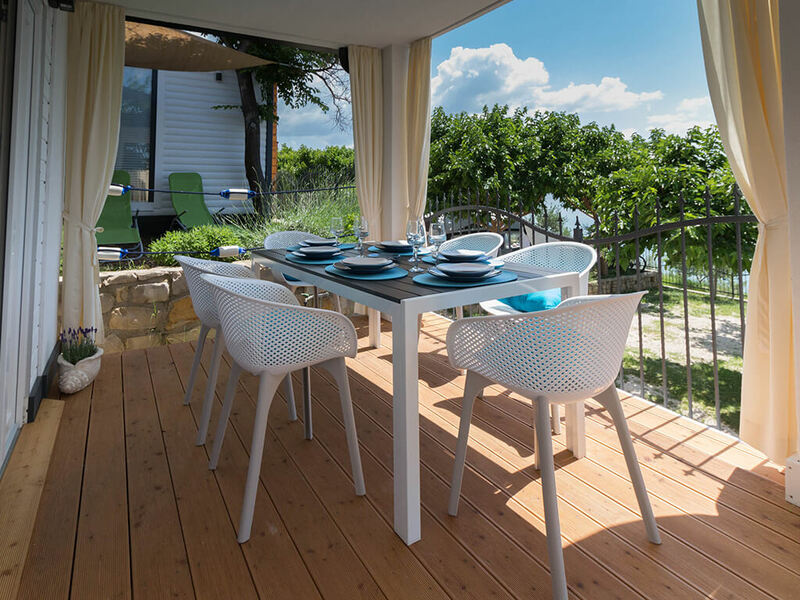 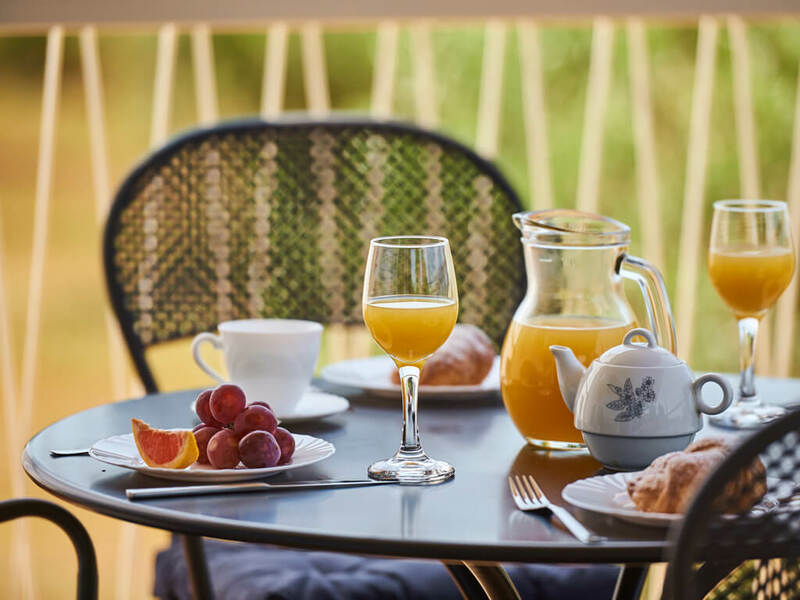 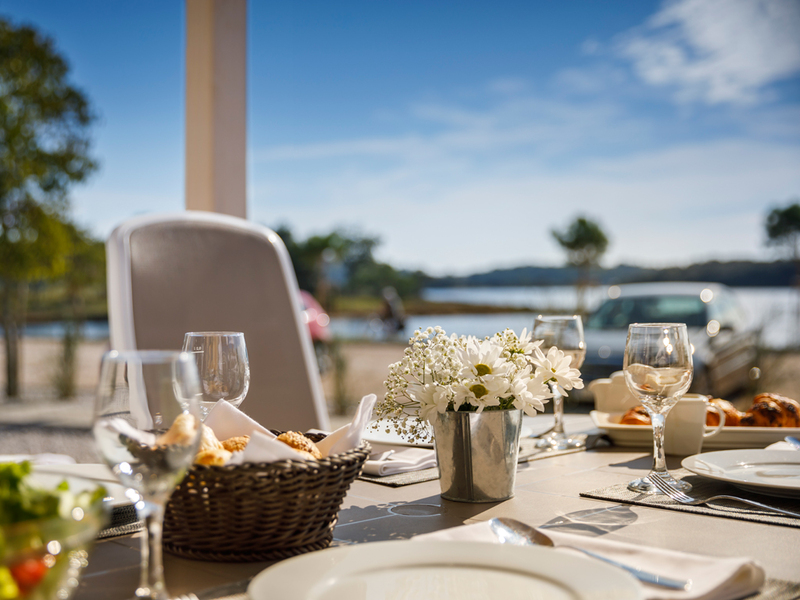 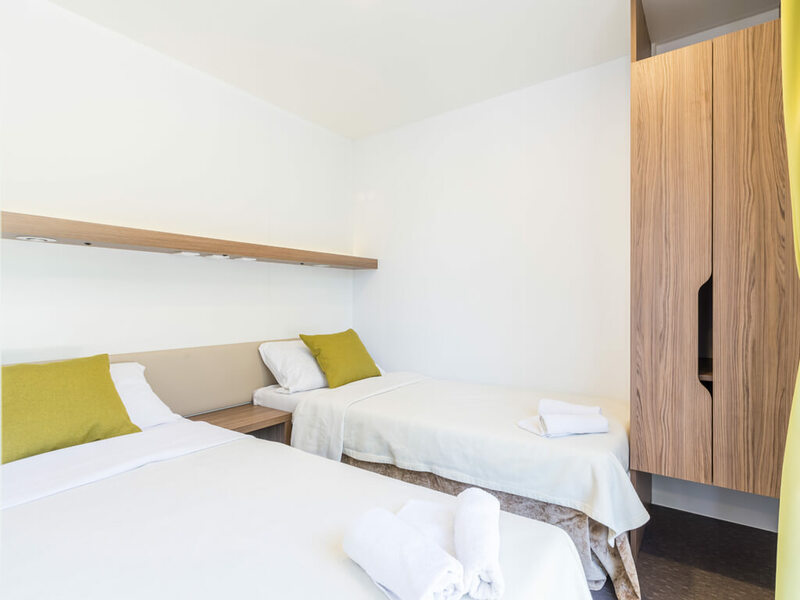 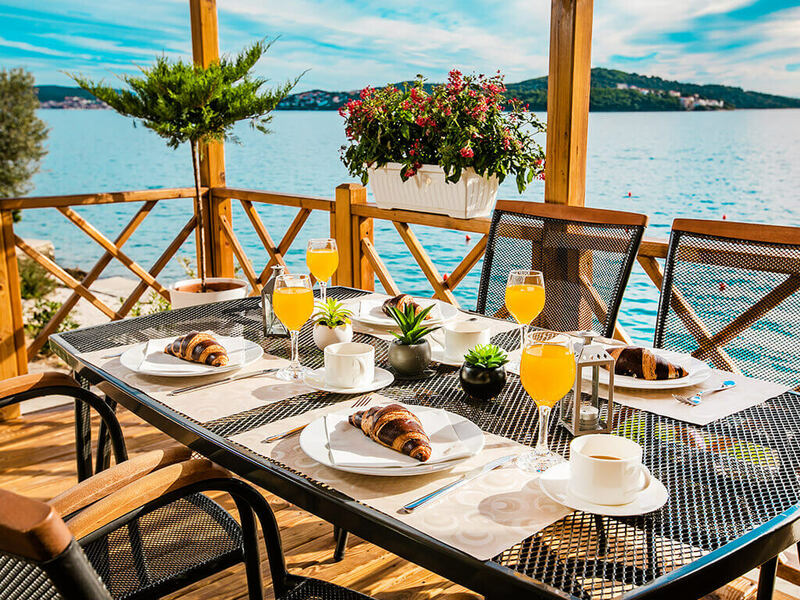 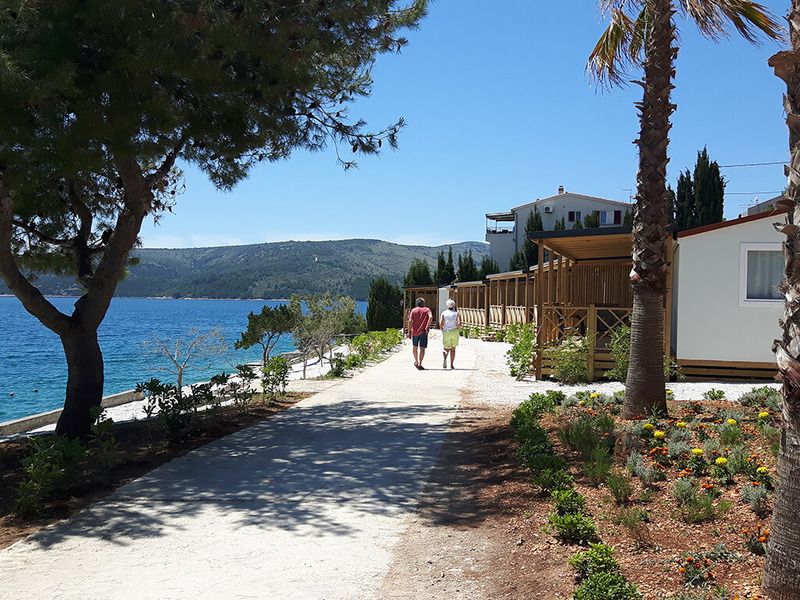 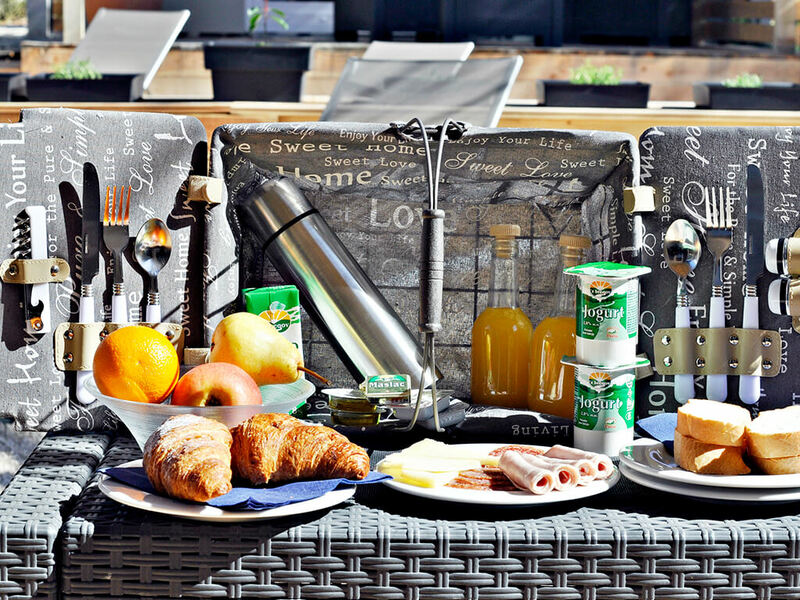 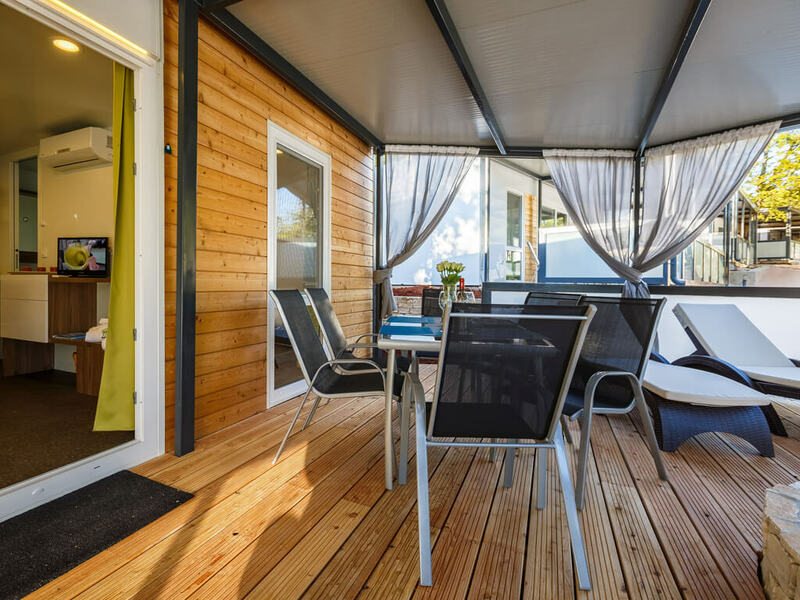 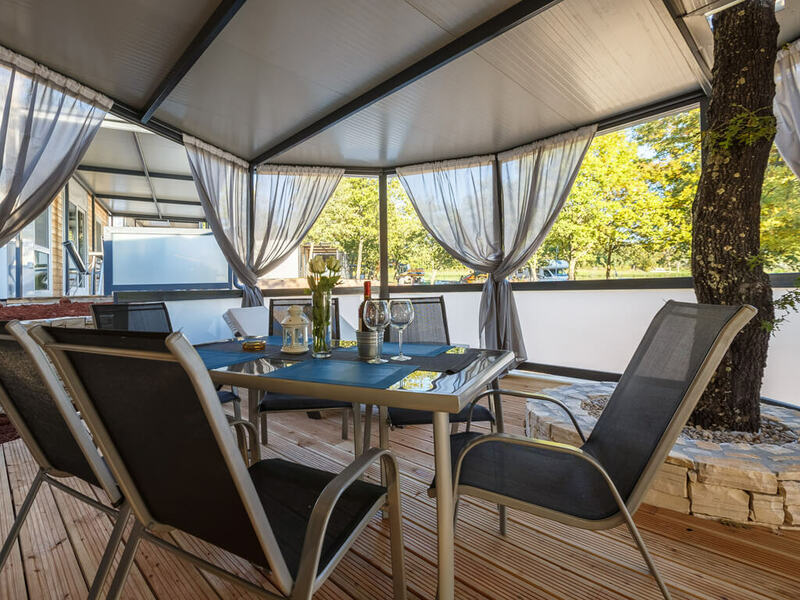 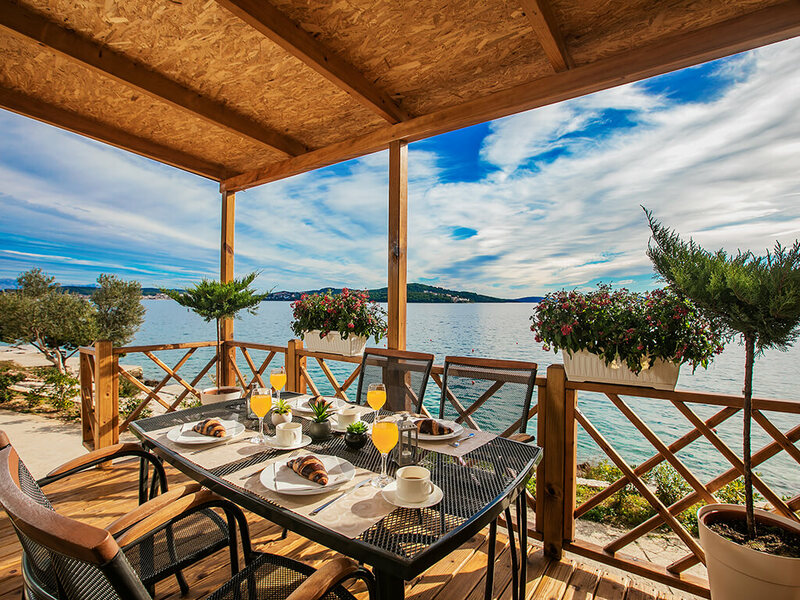 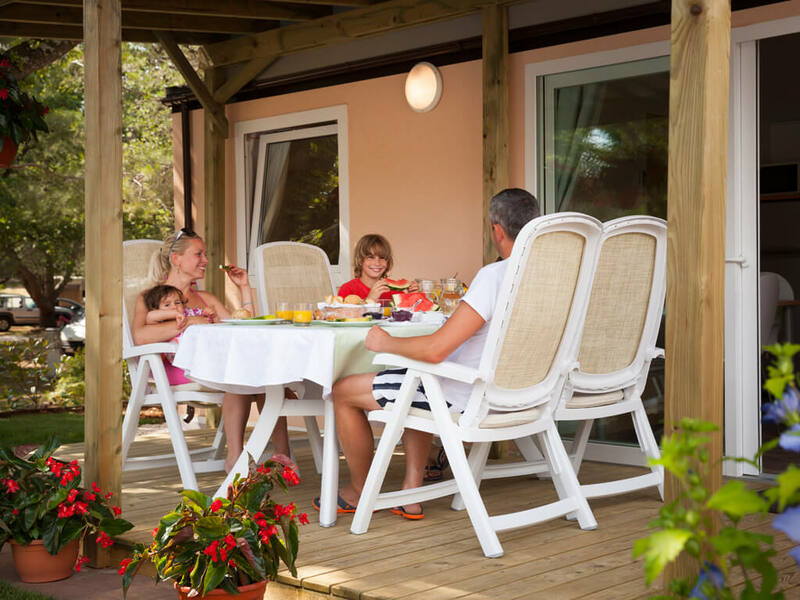 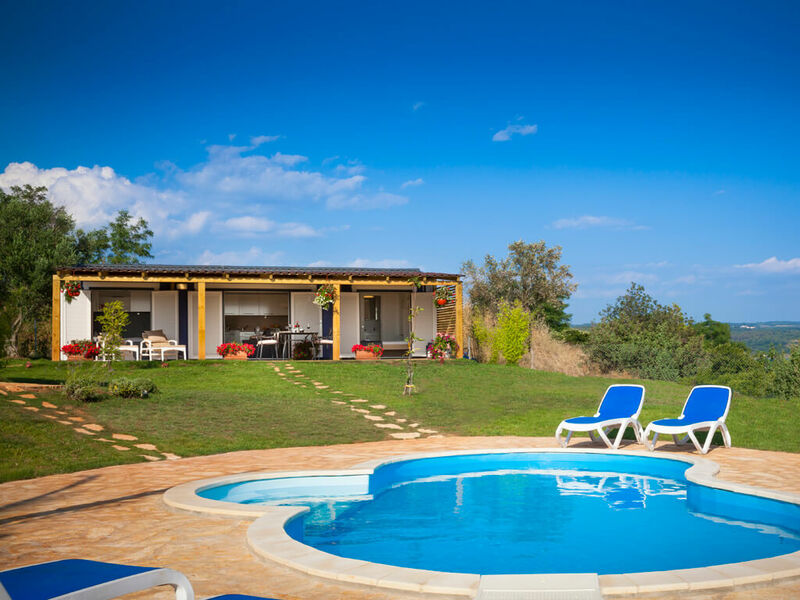 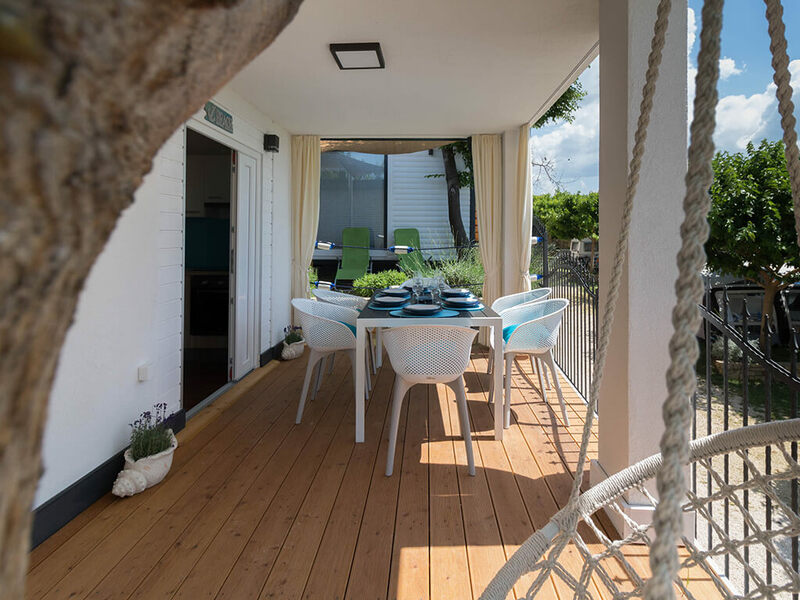 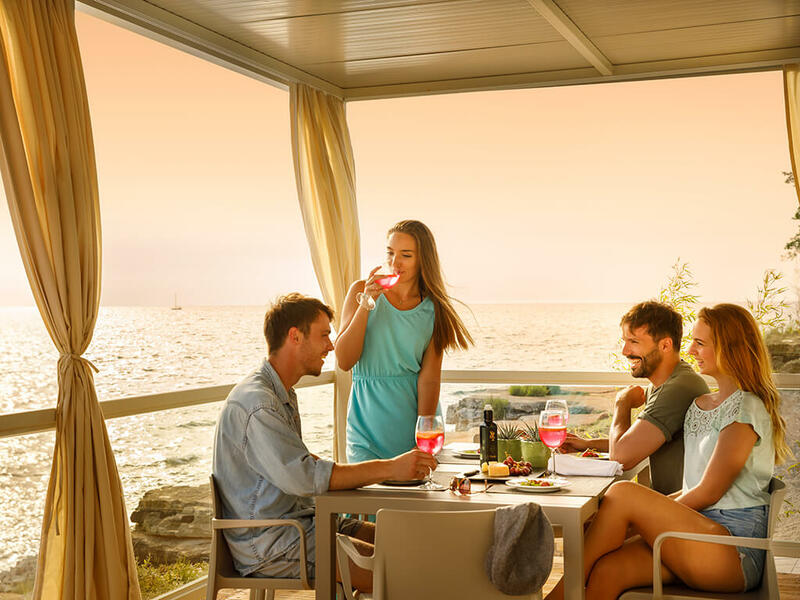 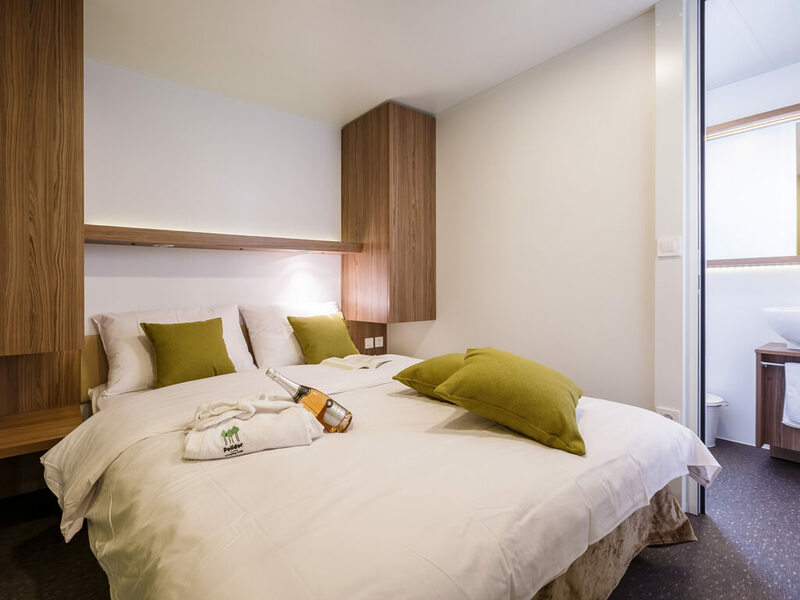 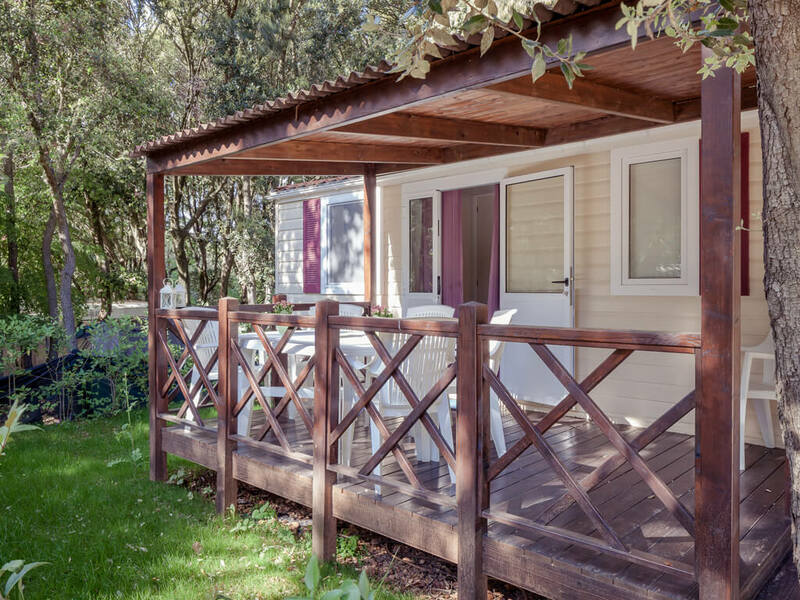 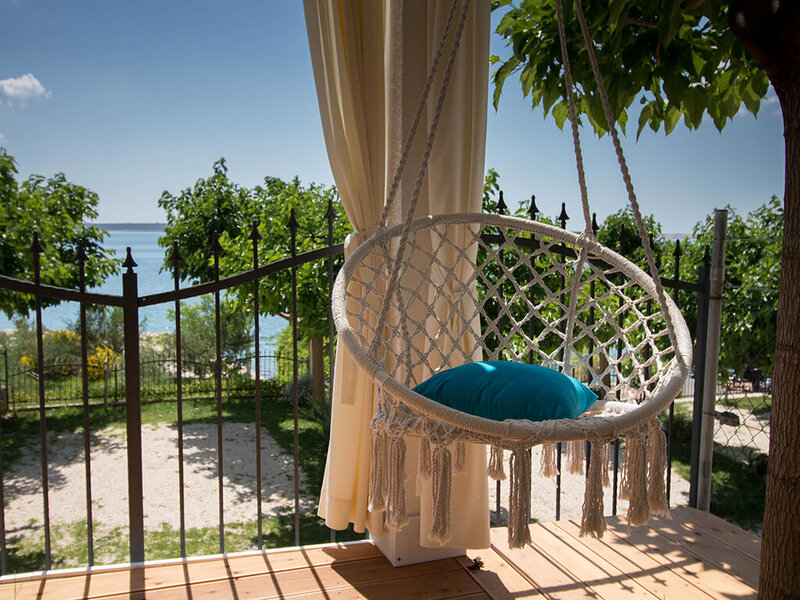 While some of them offer exclusively breakfast at the campsite restaurant, others will offer a completely personalised meal – fruit juice, coffee and croissant on the mobile home terrace. 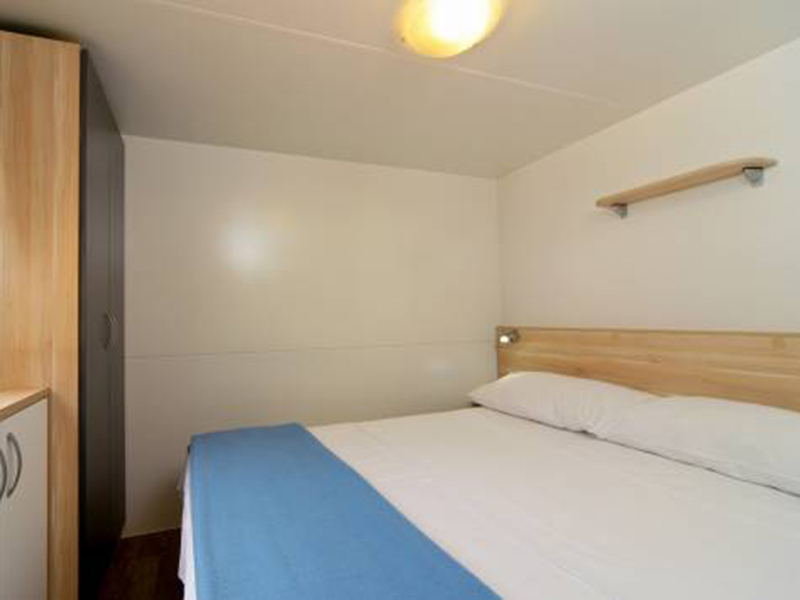 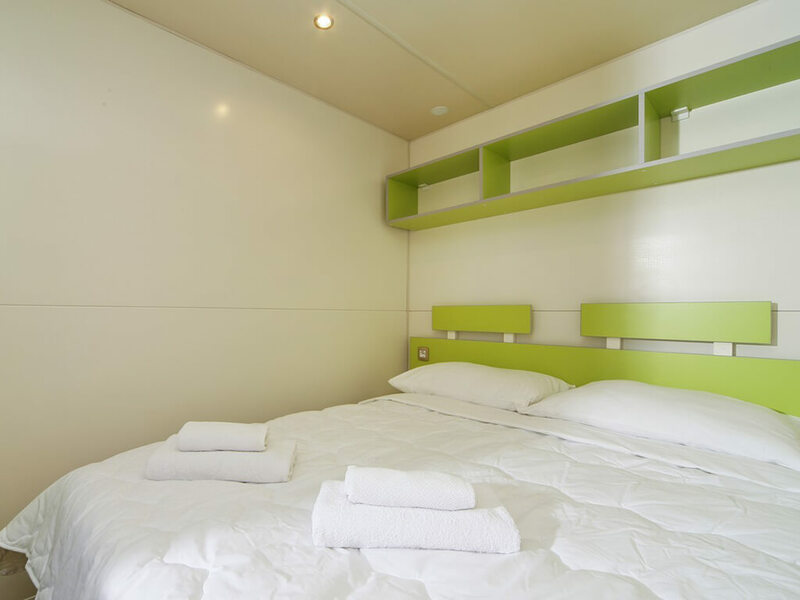 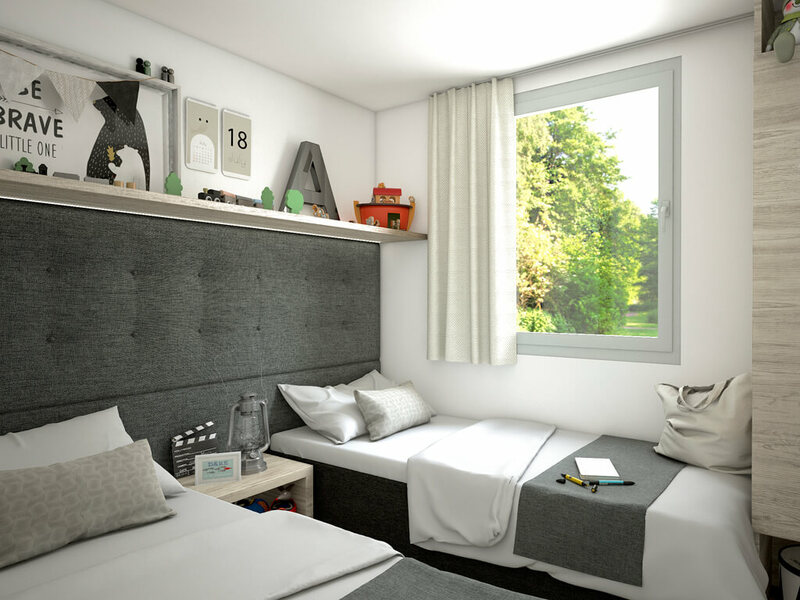 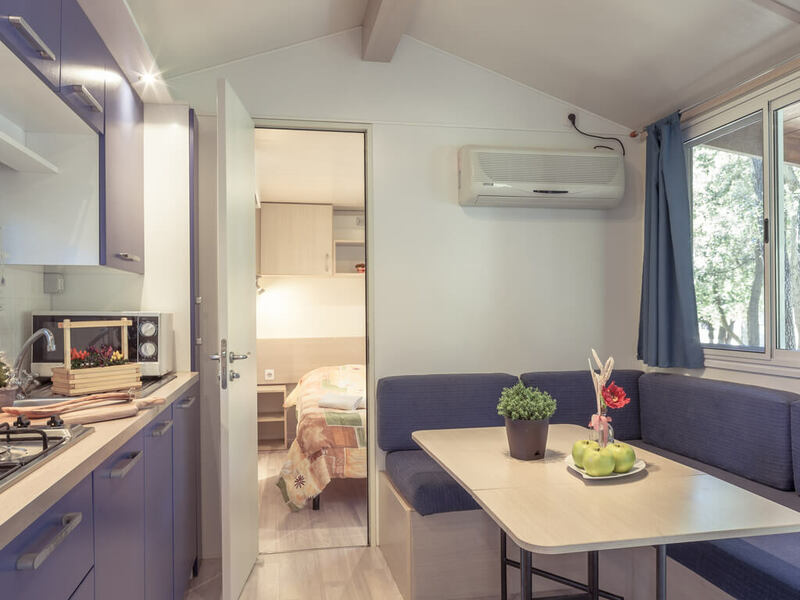 In some mobile homes, you have also a possibility of half or full board at the campsite restaurant or at a nearby hotel. 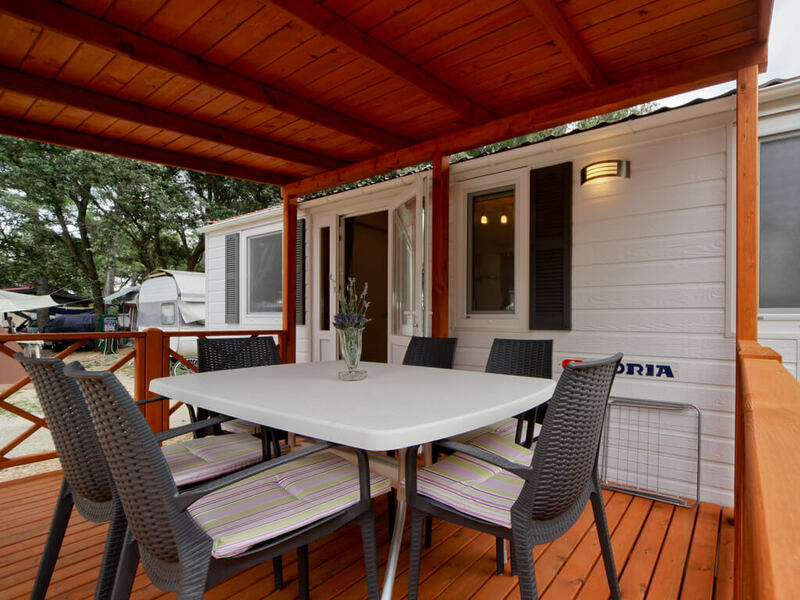 Should you choose boarding service at your mobile home, all you need to do is to arrange it with the campsite reception. 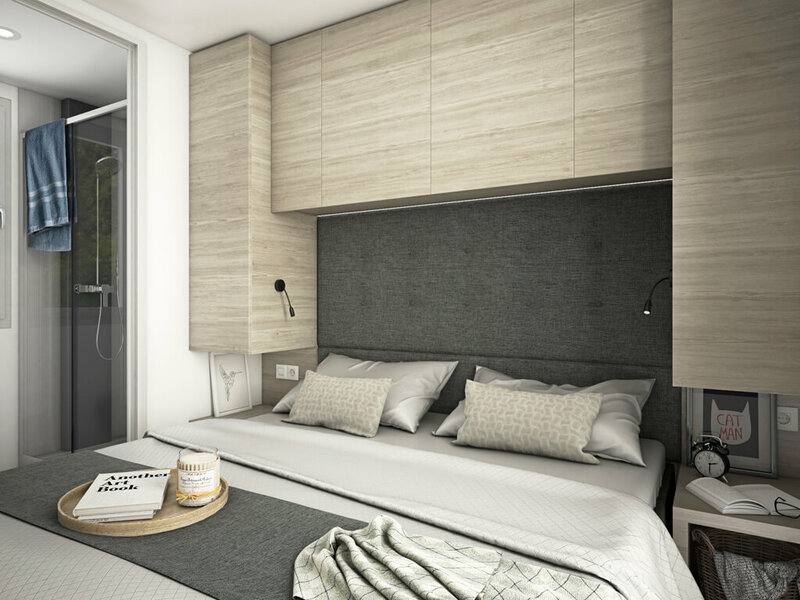 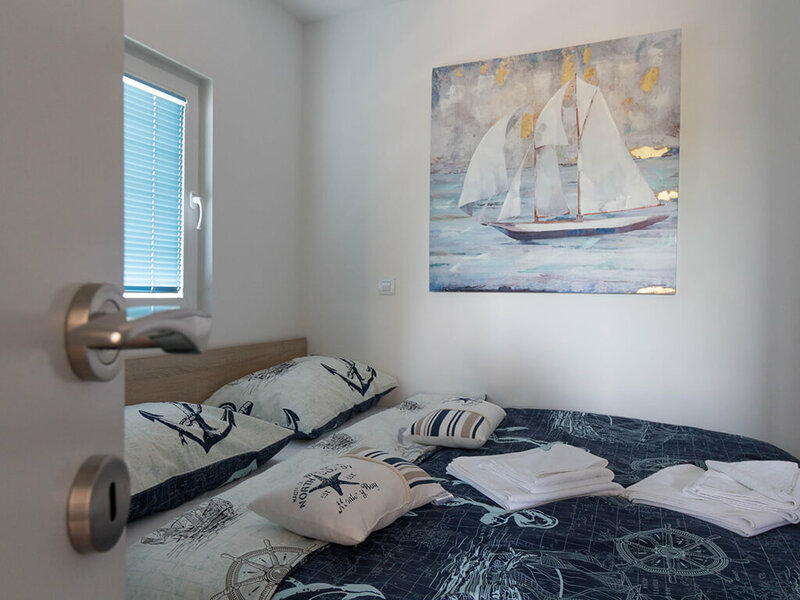 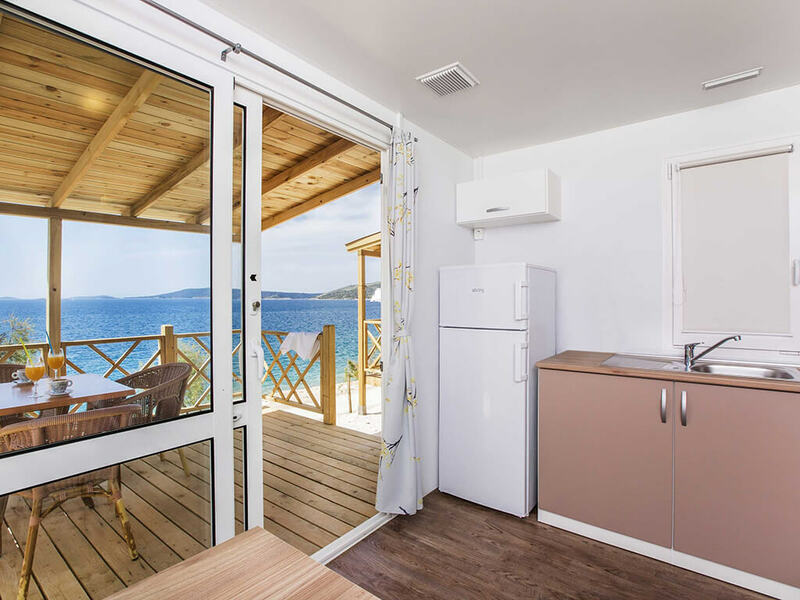 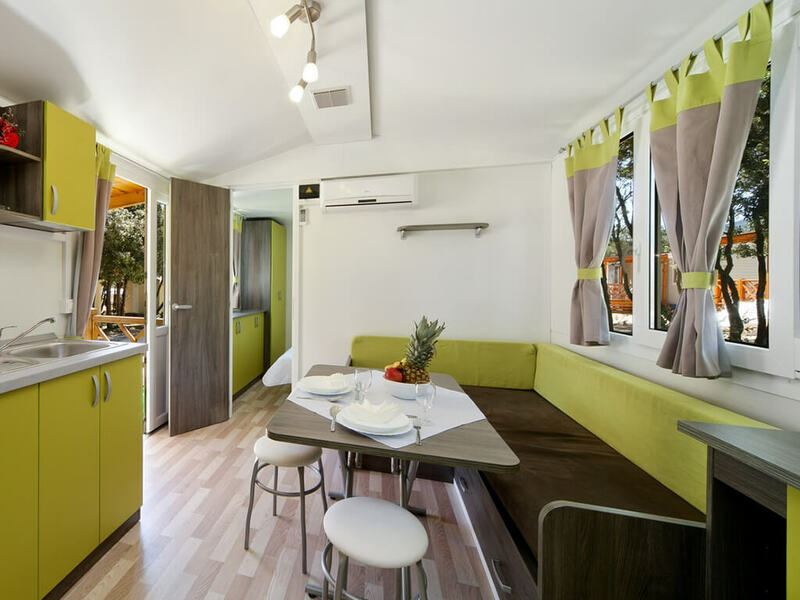 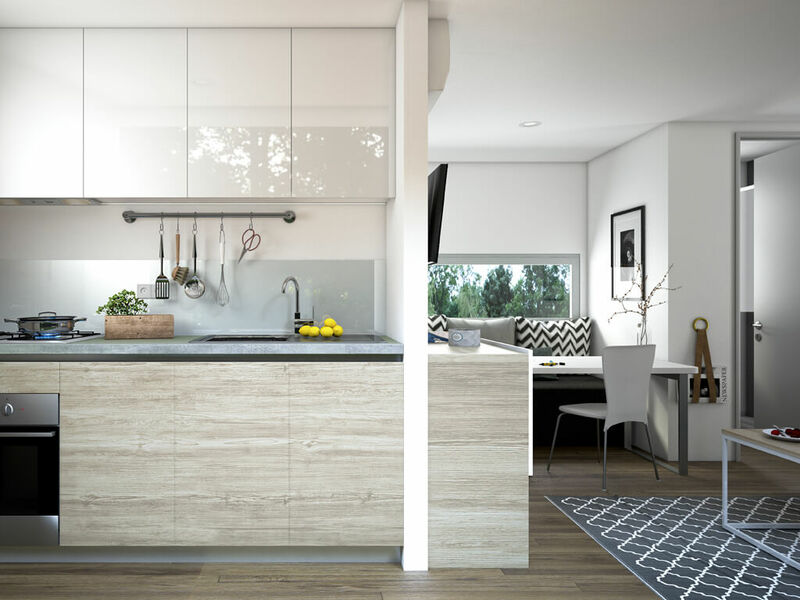 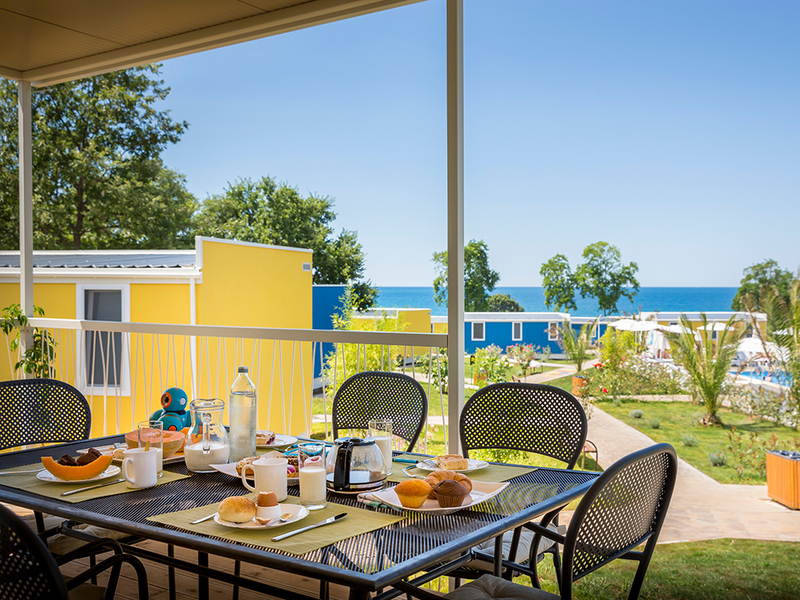 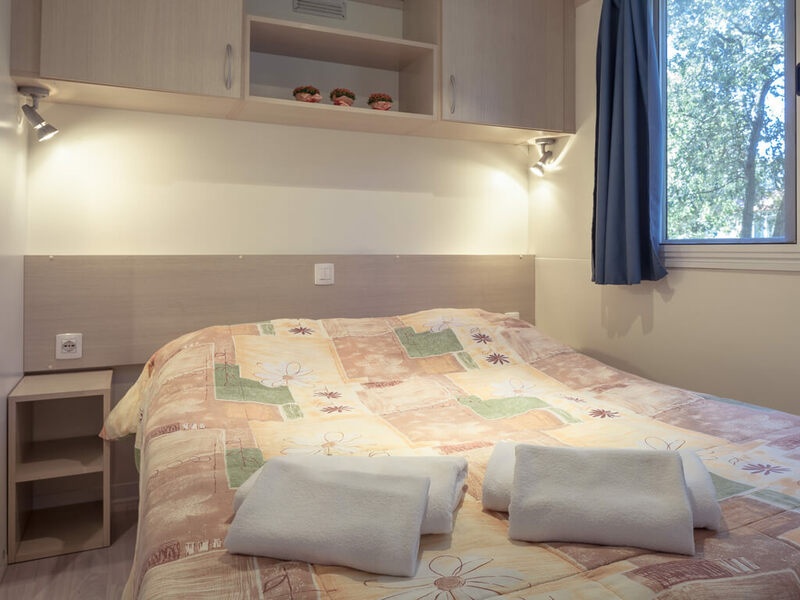 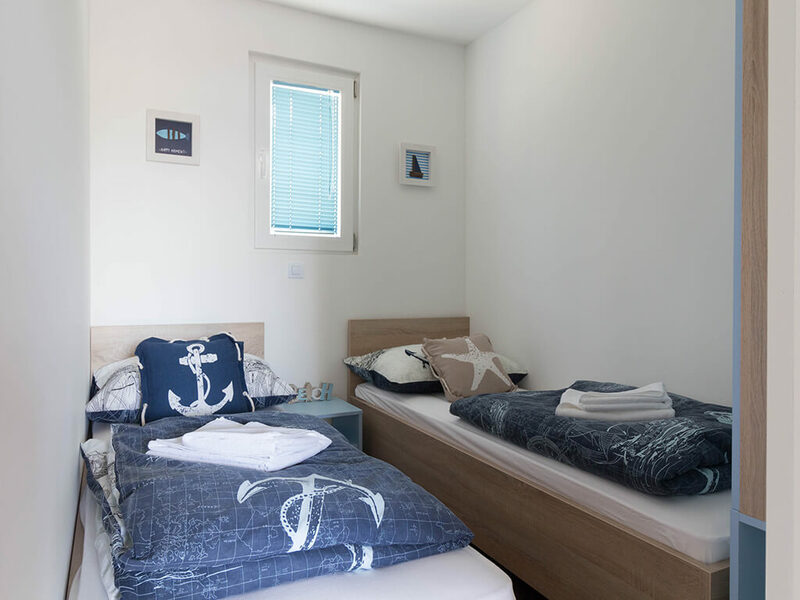 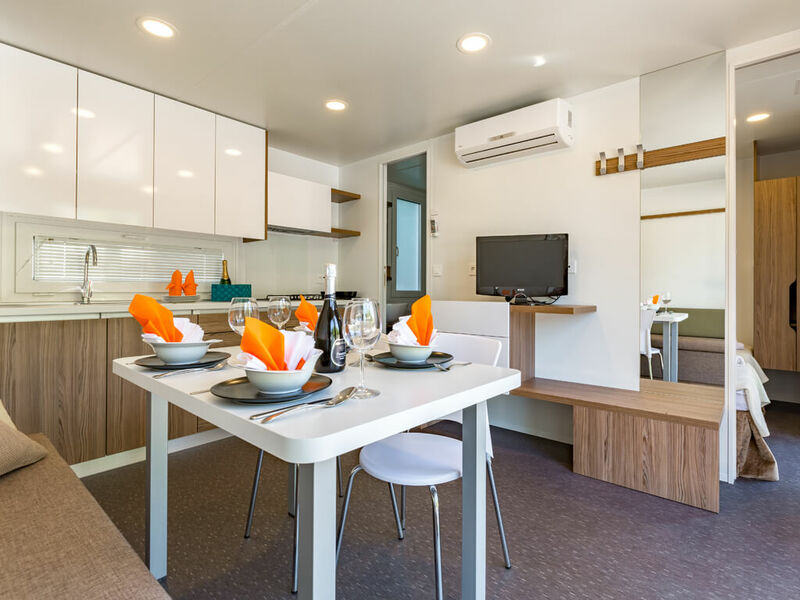 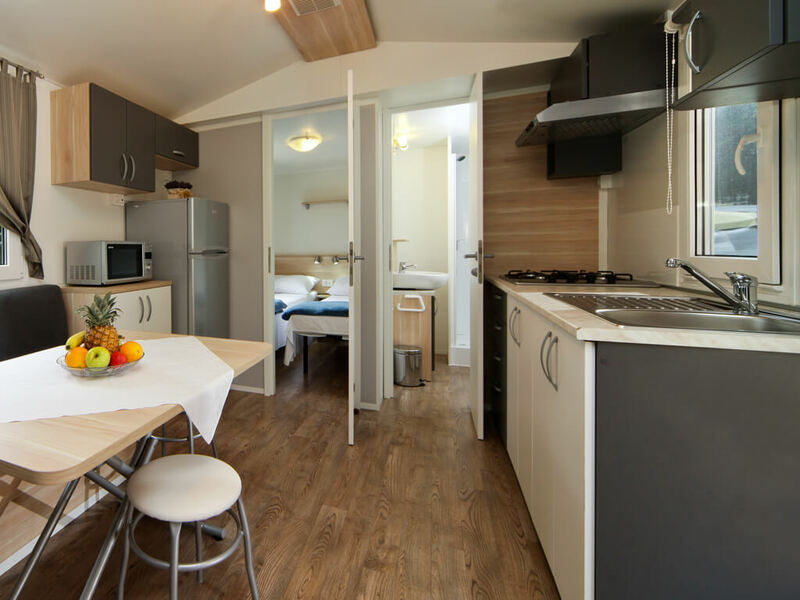 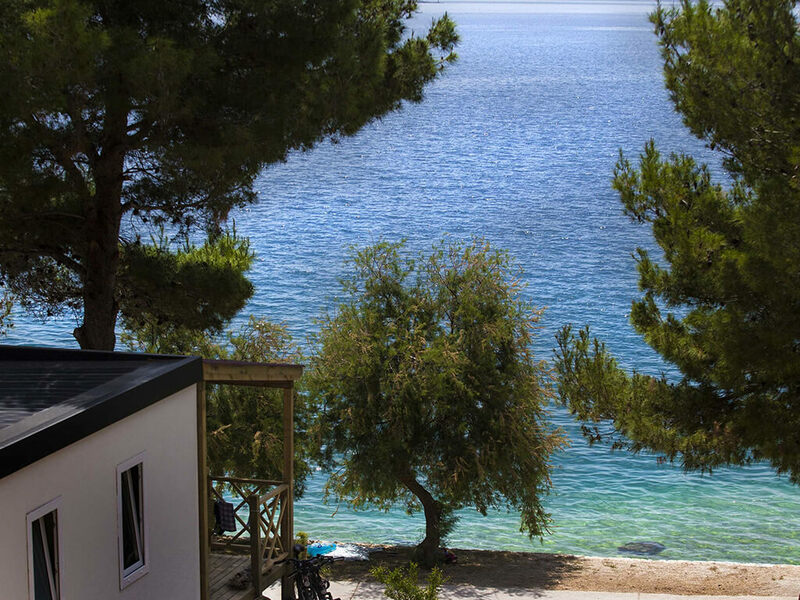 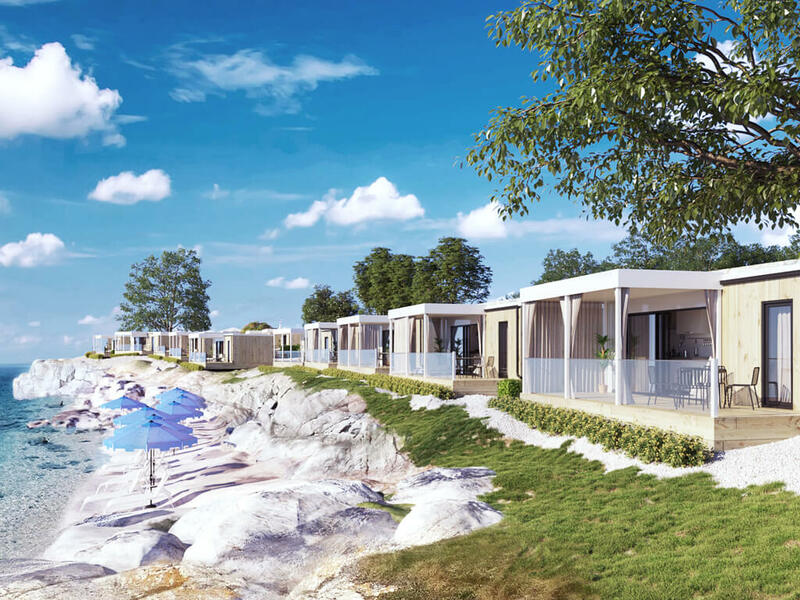 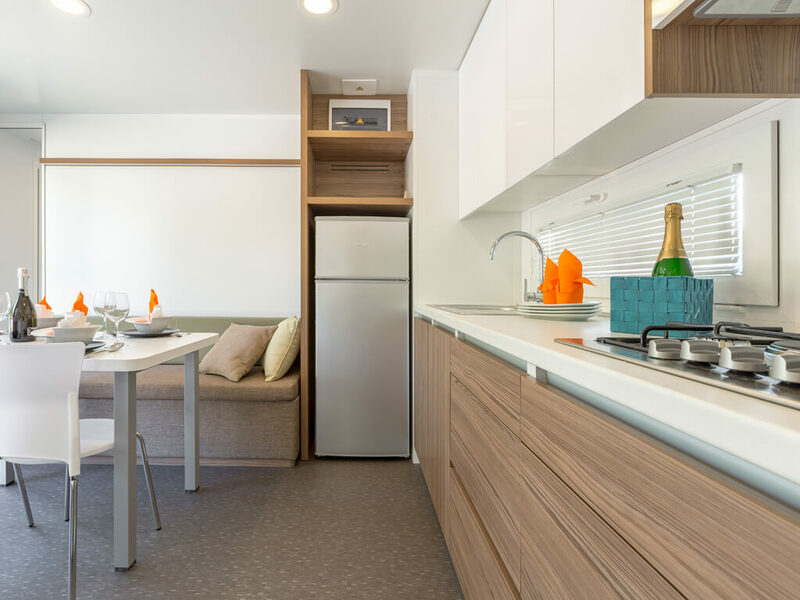 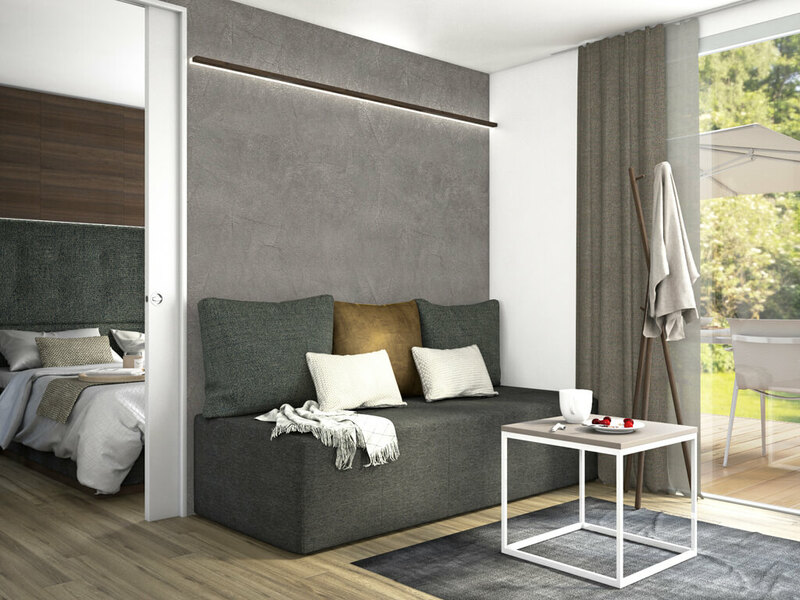 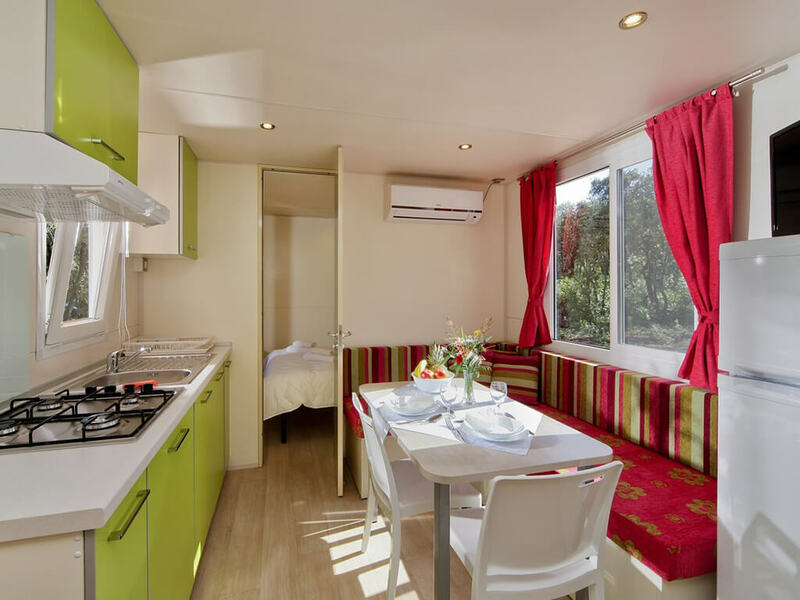 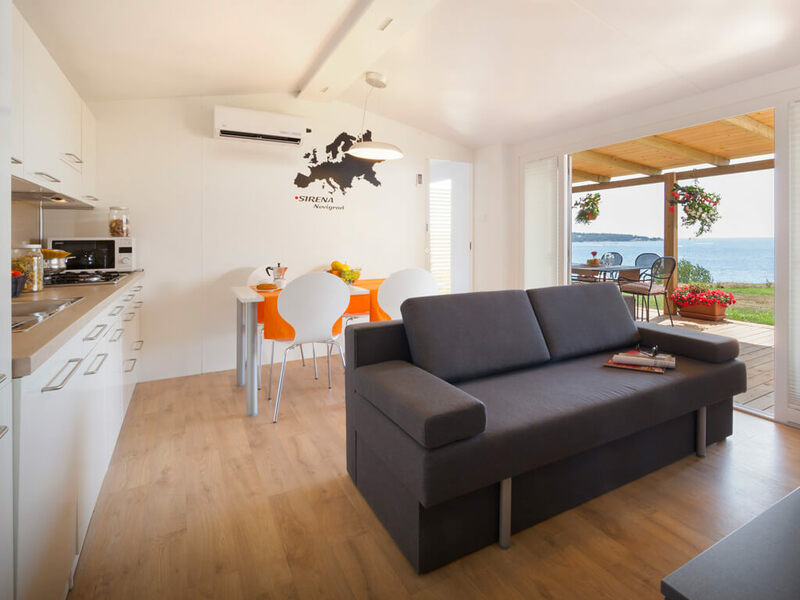 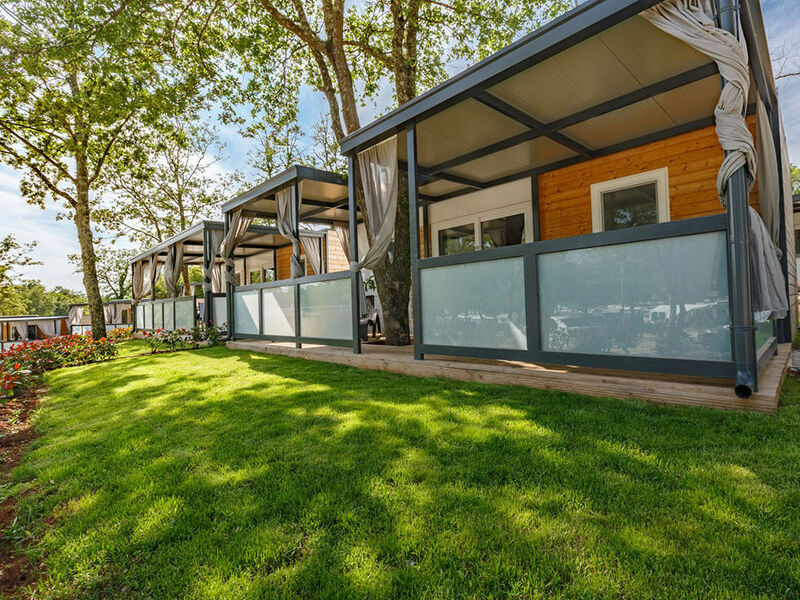 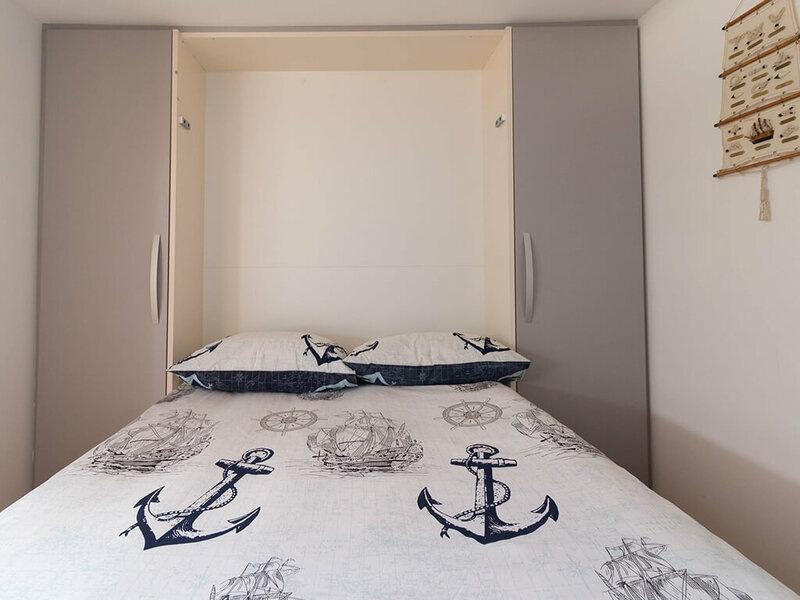 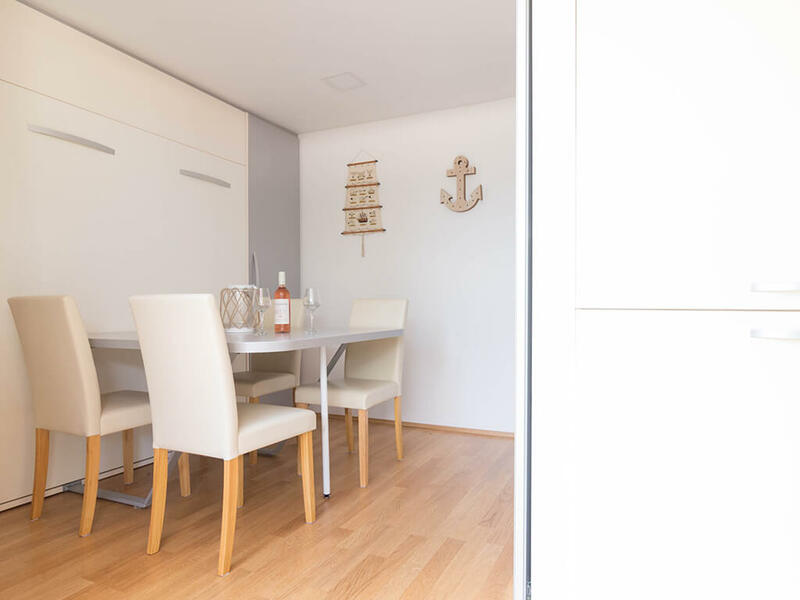 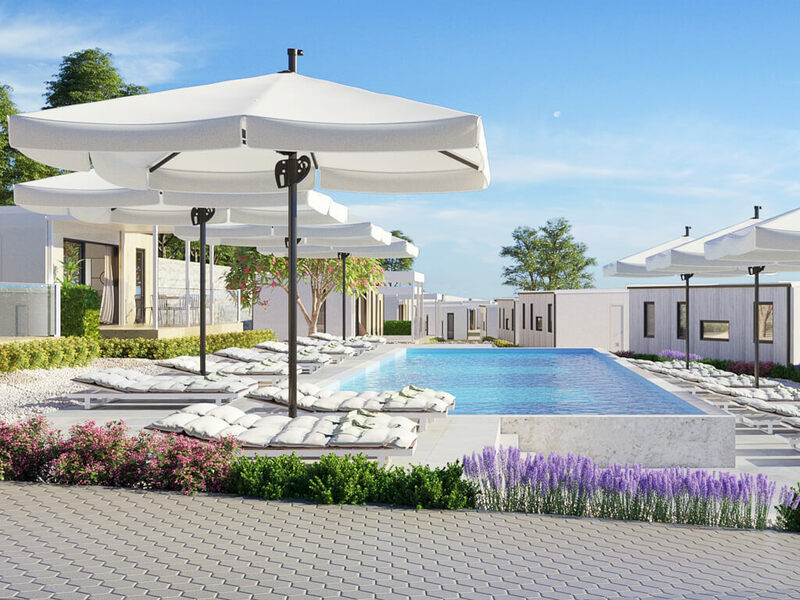 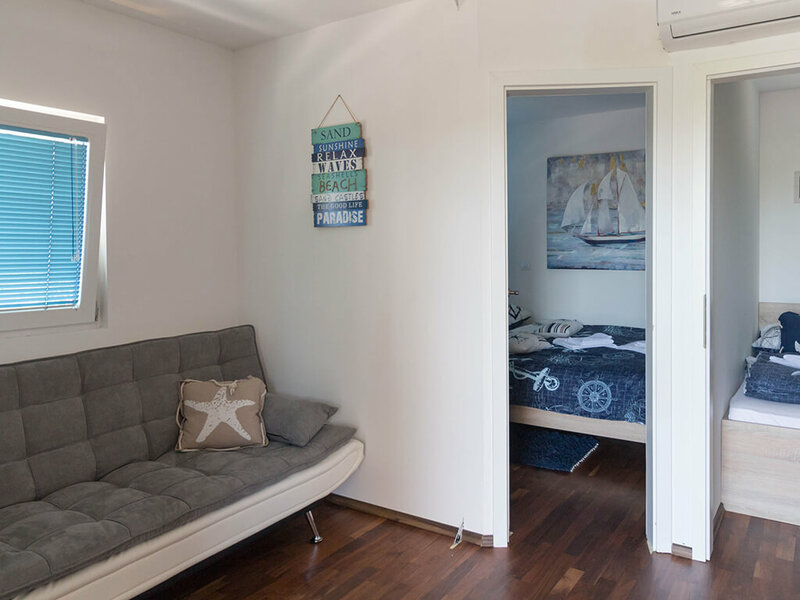 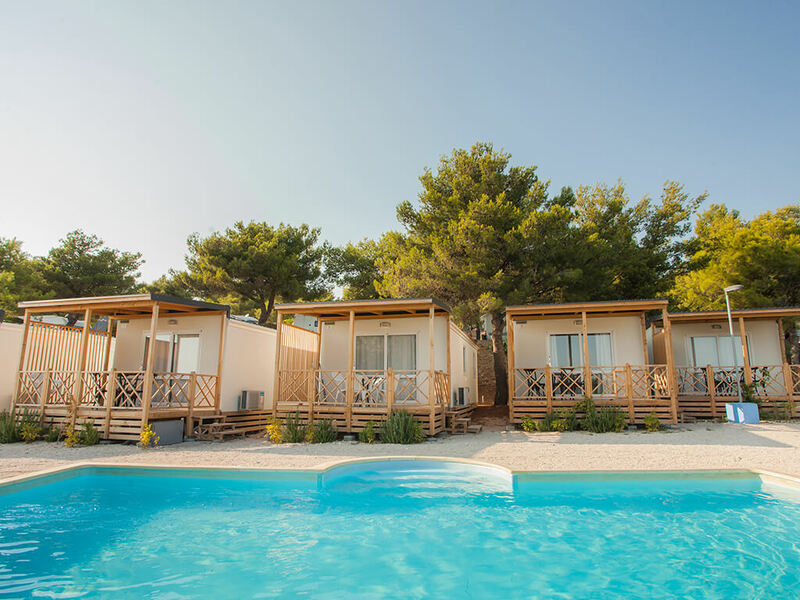 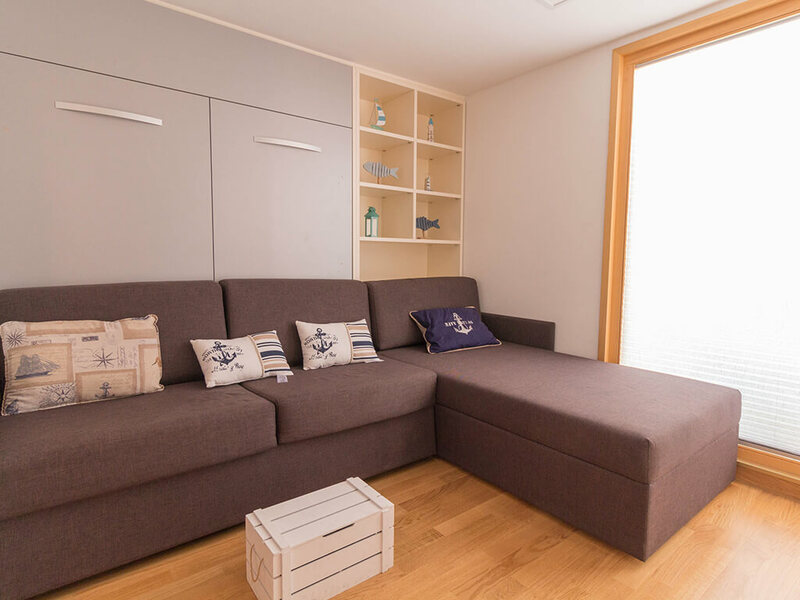 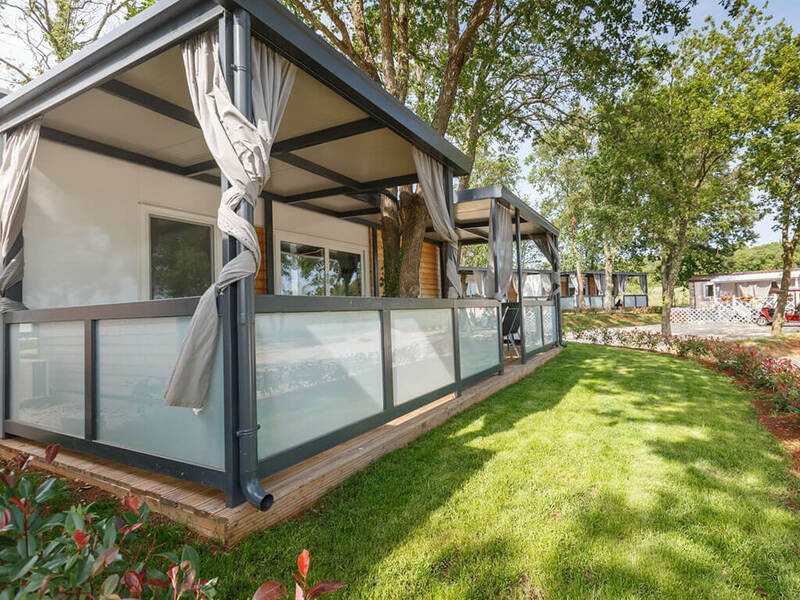 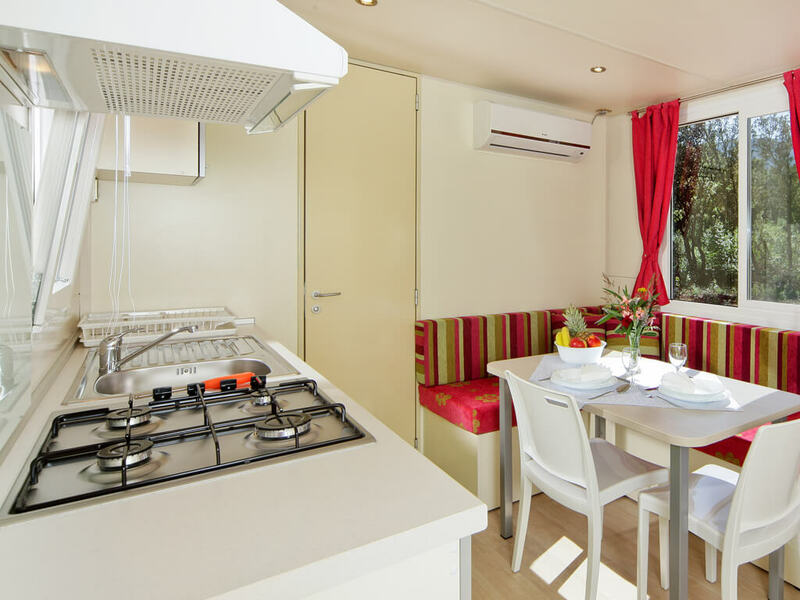 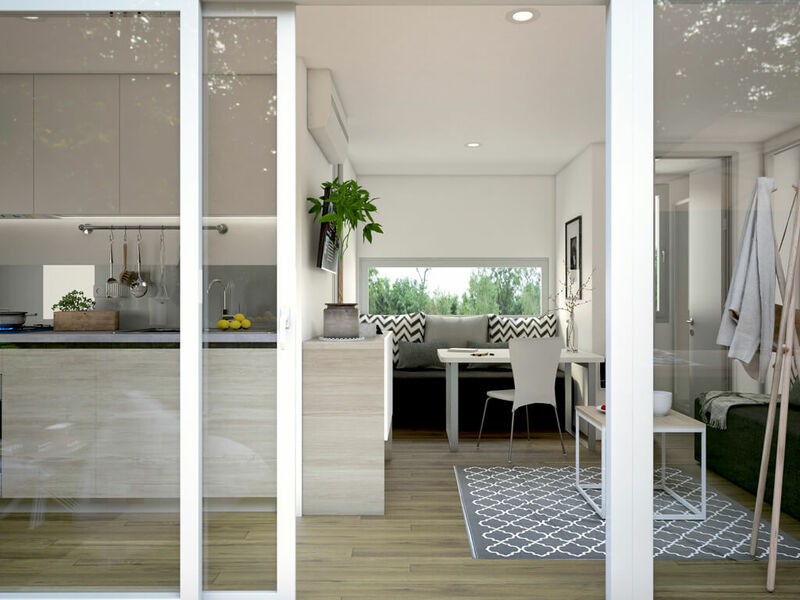 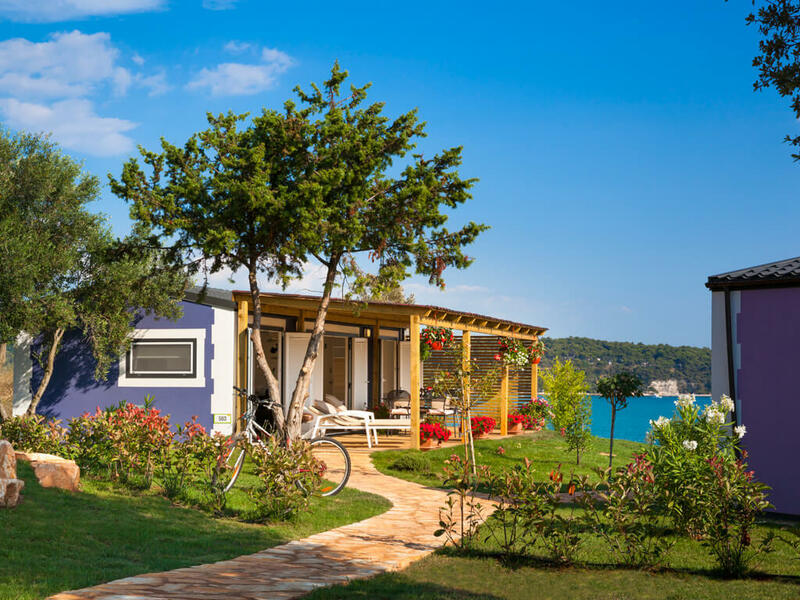 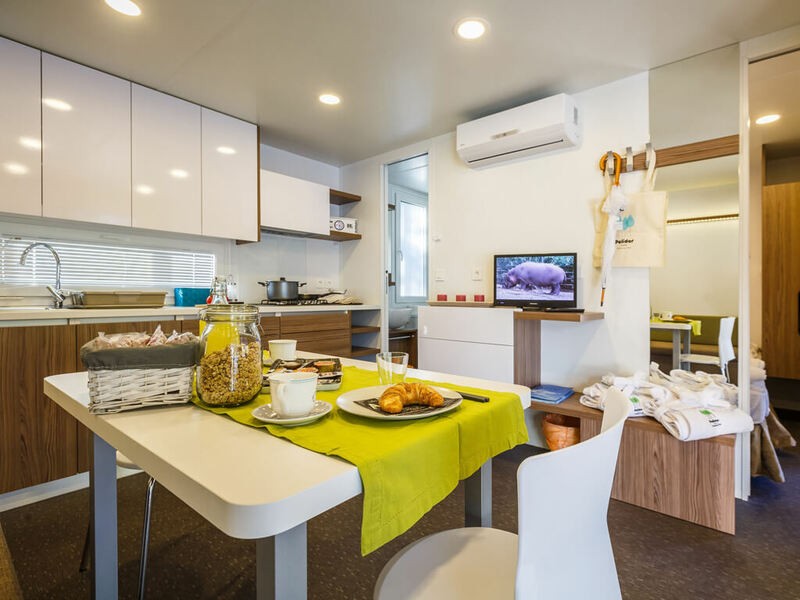 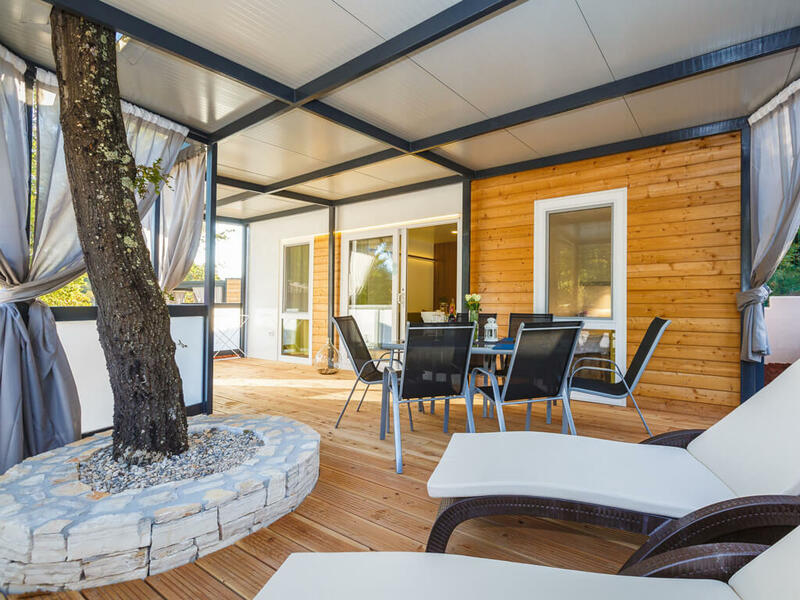 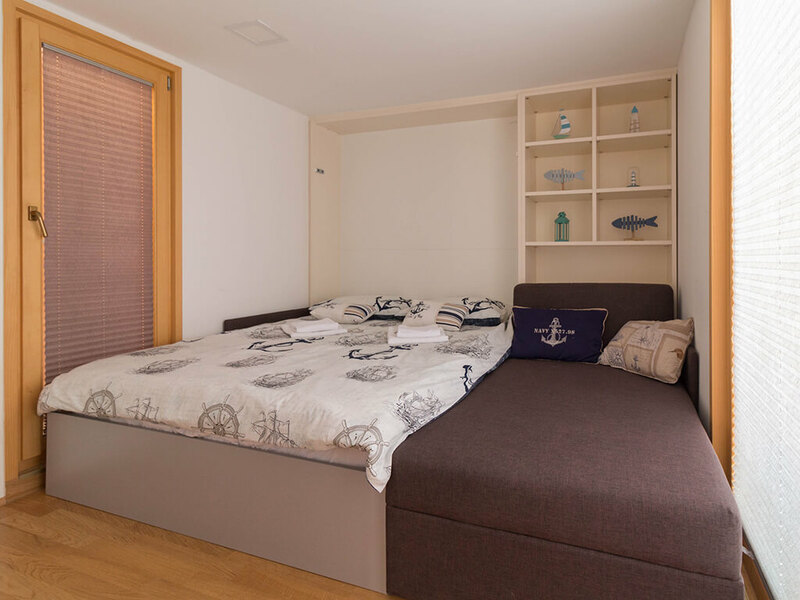 While others take care of their cooking, you can rest on your holiday – in these mobile homes you have a possibility of breakfast, half or full board!